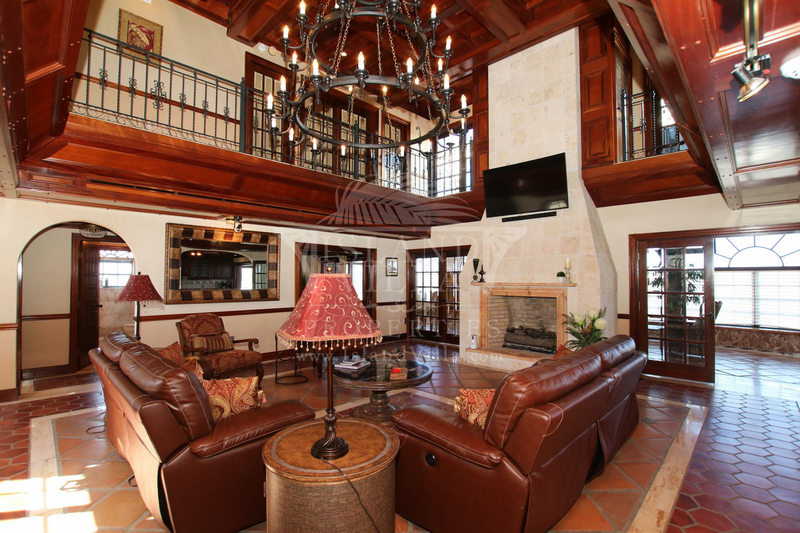 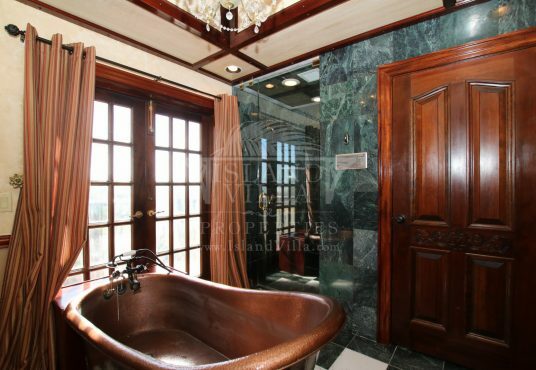 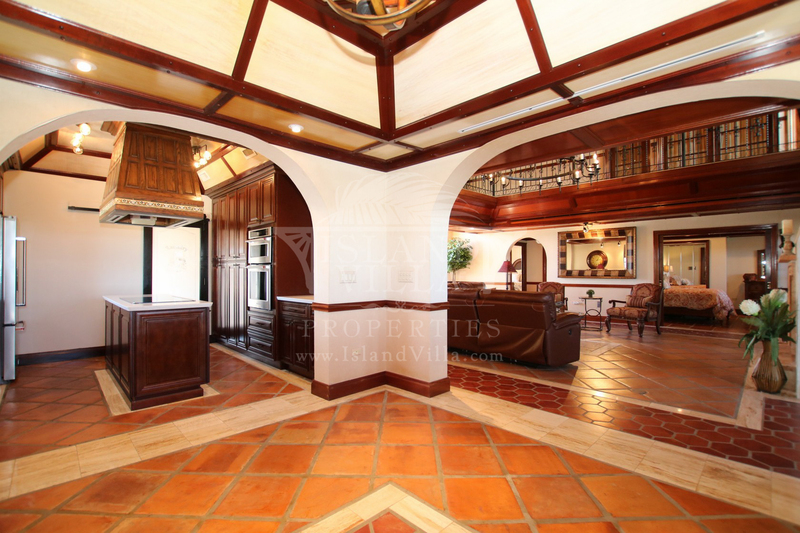 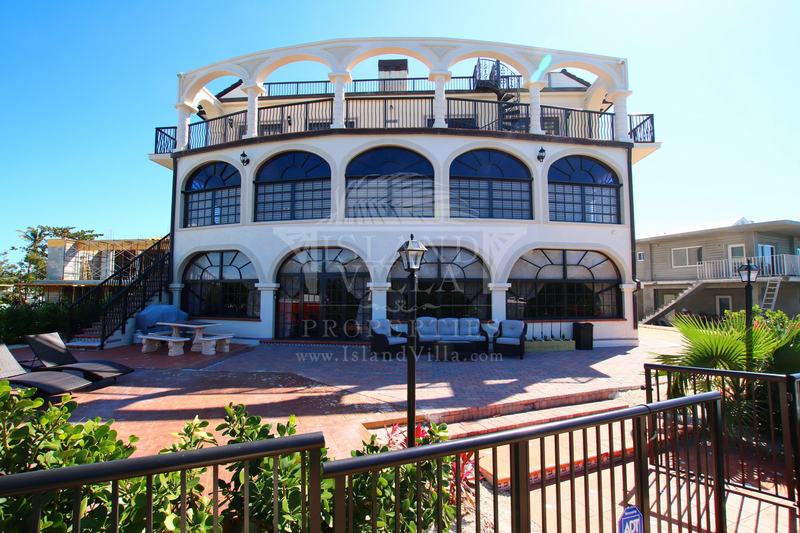 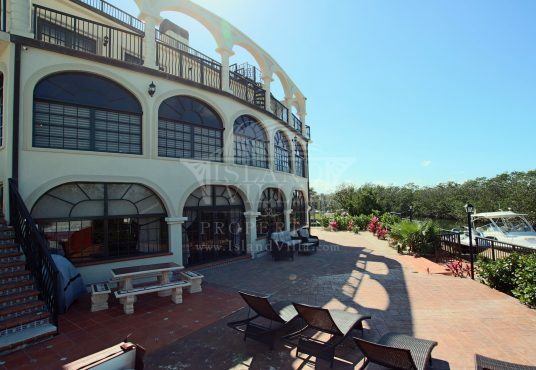 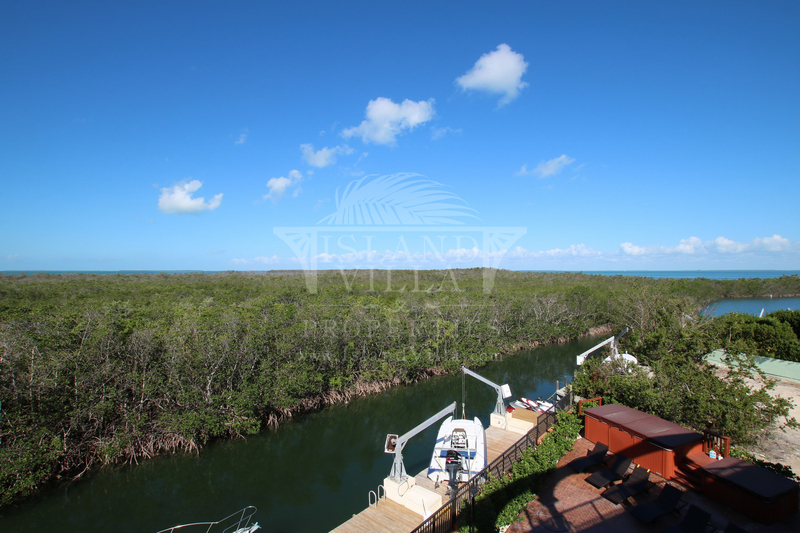 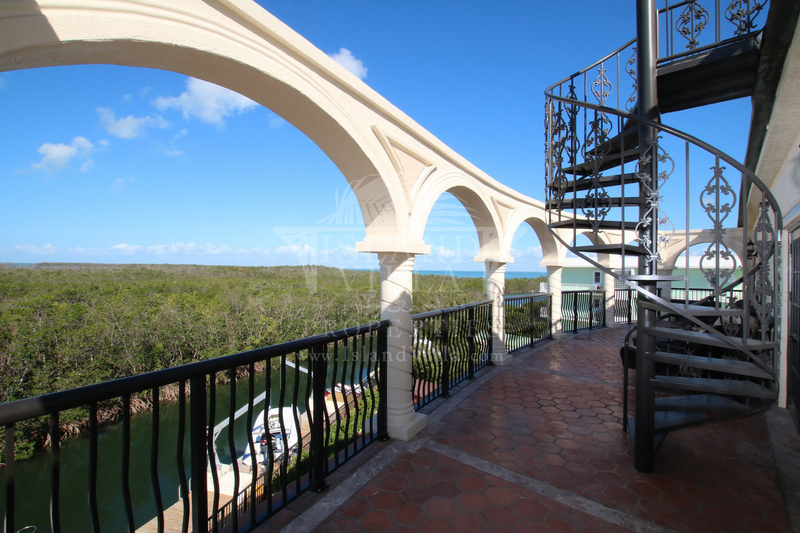 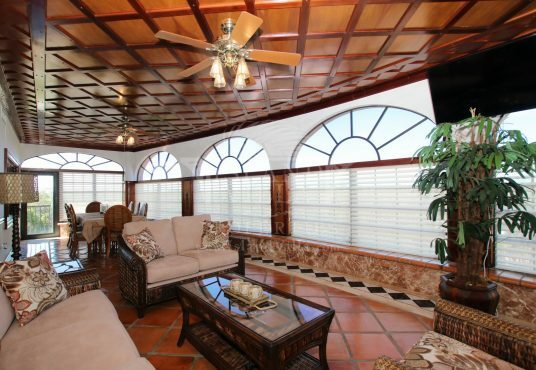 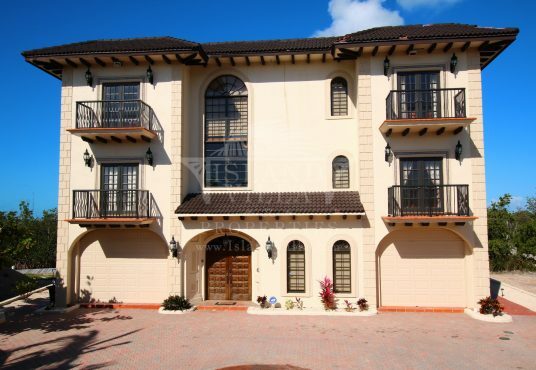 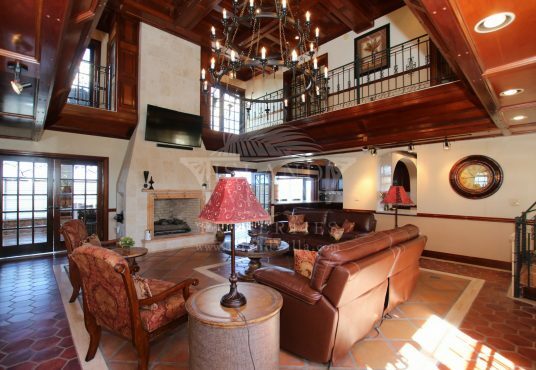 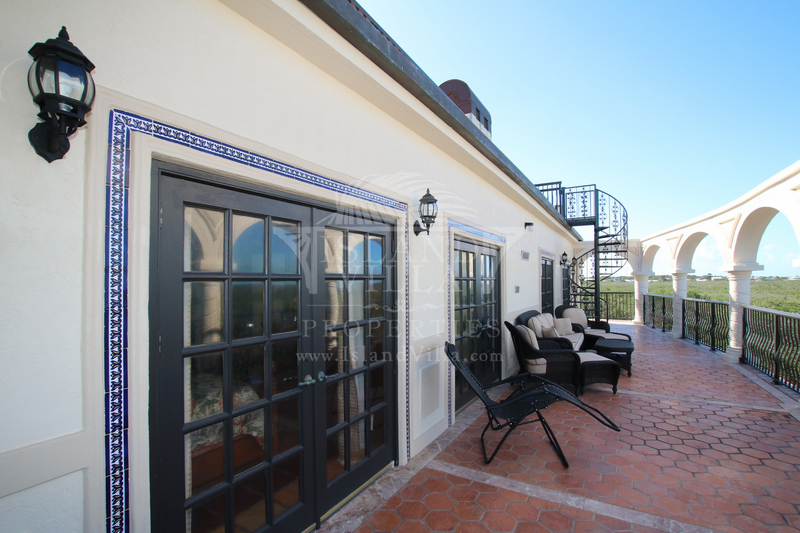 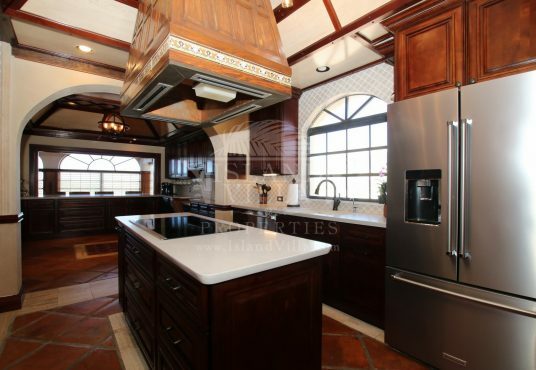 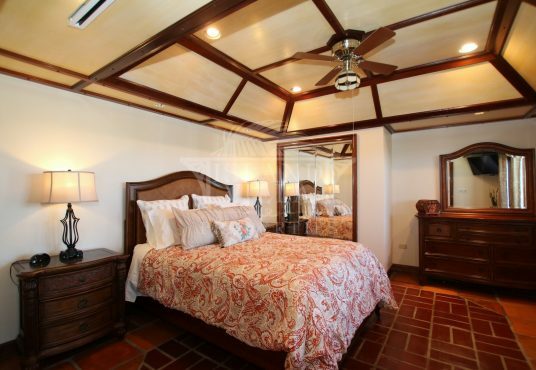 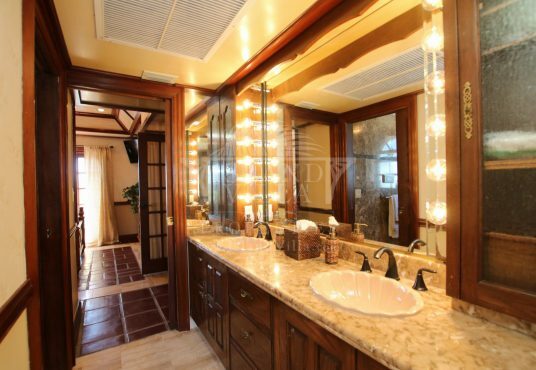 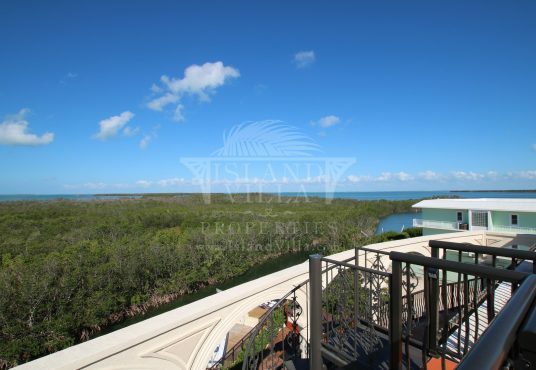 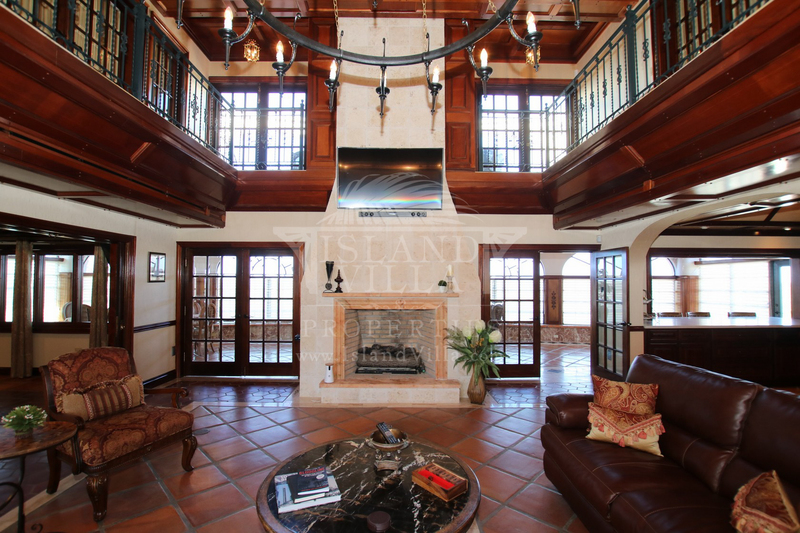 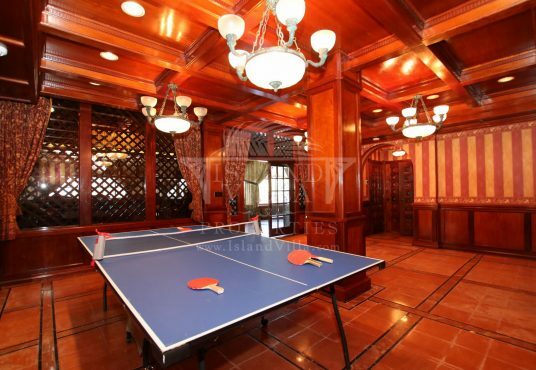 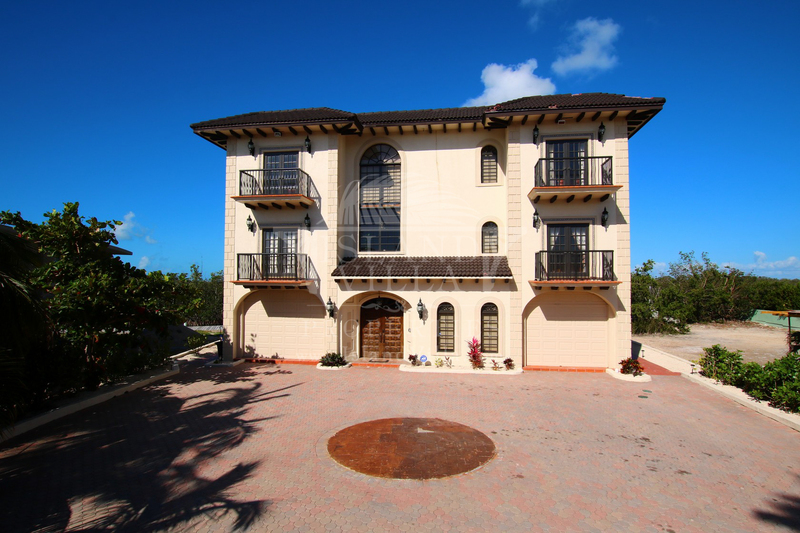 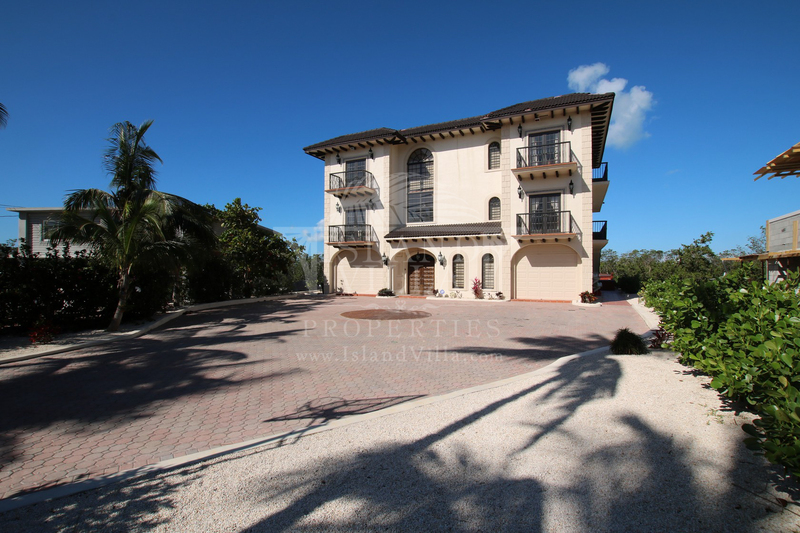 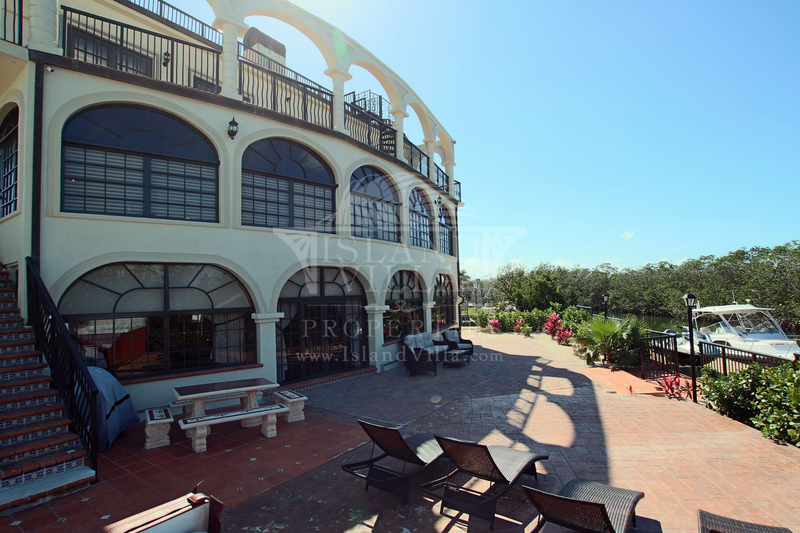 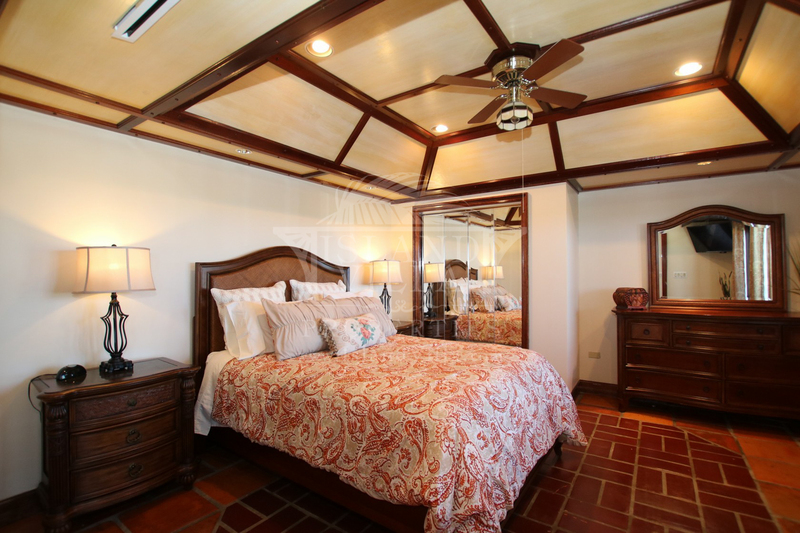 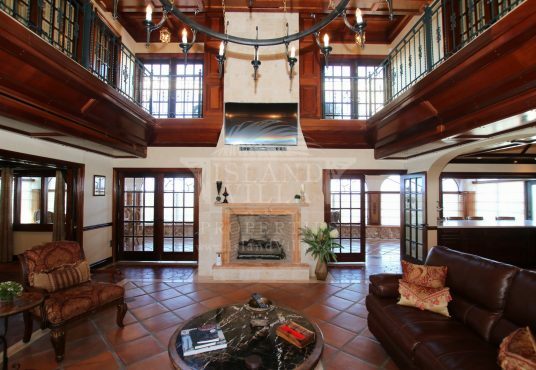 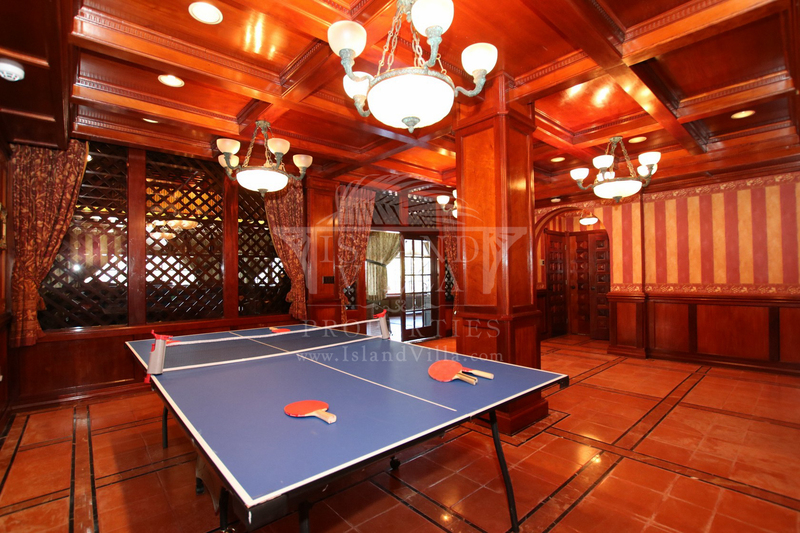 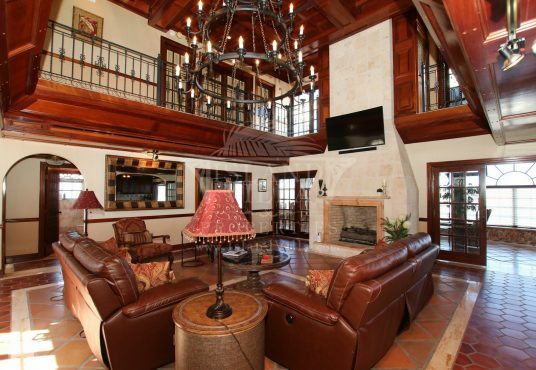 The extravagant Villa Paraiso boasts 6.5 bedrooms, with an 88’ dock, two Jacuzzis, veranda, and canal and bay views. 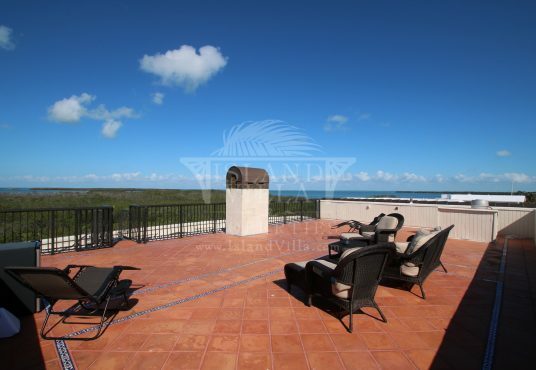 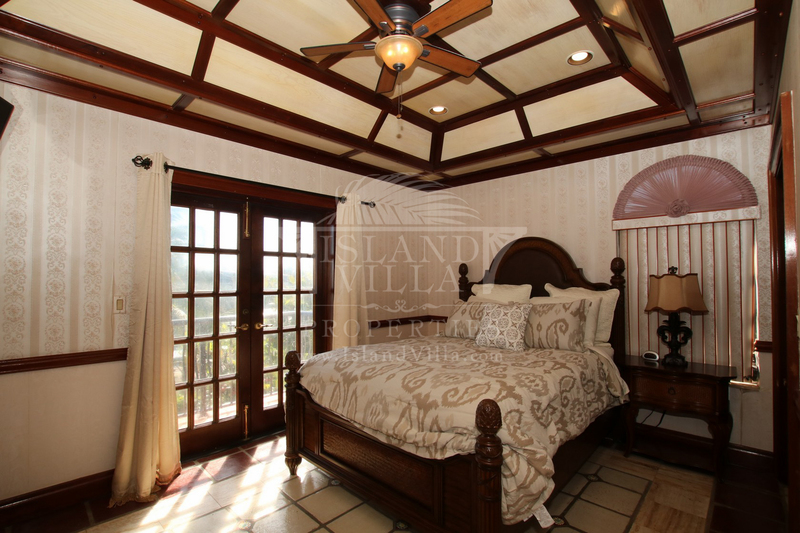 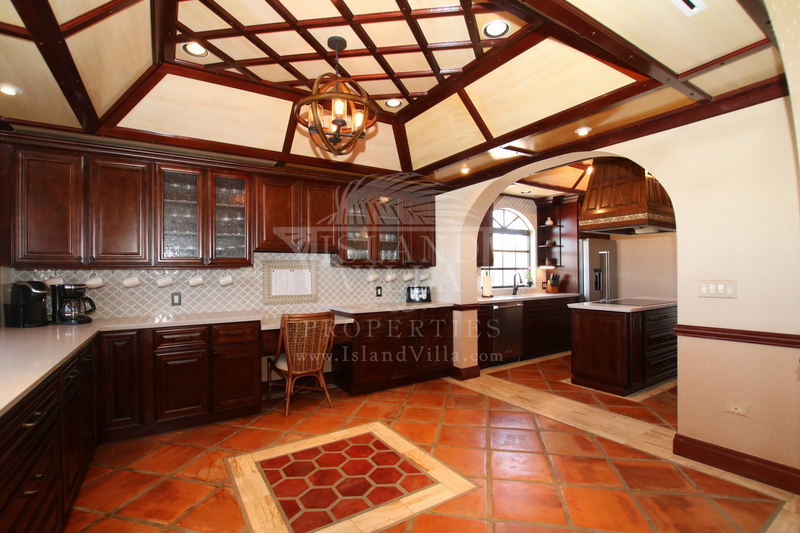 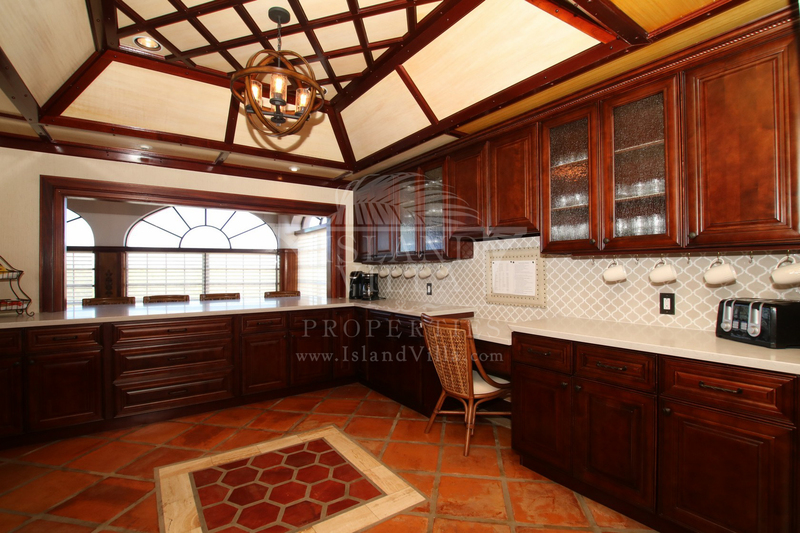 Located Bayside at mm 90, the large, custom built, villa would be perfect for large families or groups. 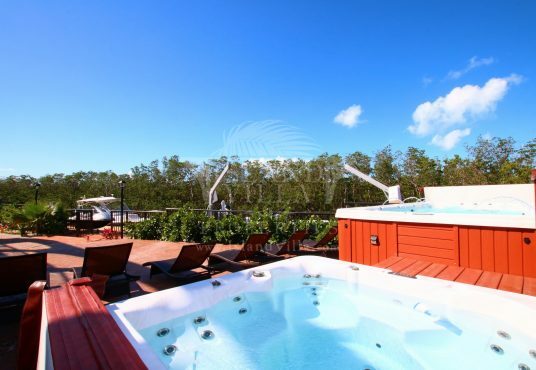 A large 10 person heated 16’x7′ swim spa PLUS a heated 4 person jacuzzi located right on the water makes Villa Paraiso a great choice for families and friends. 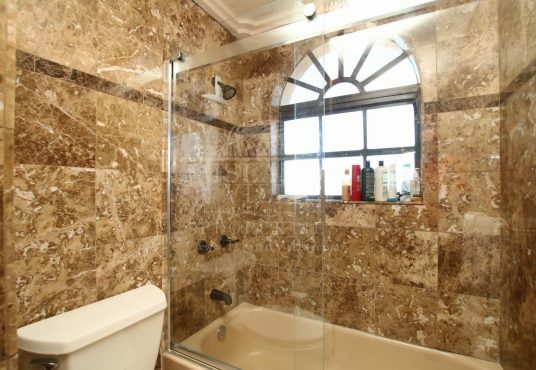 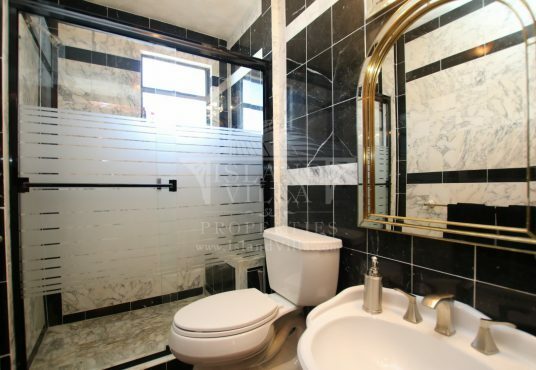 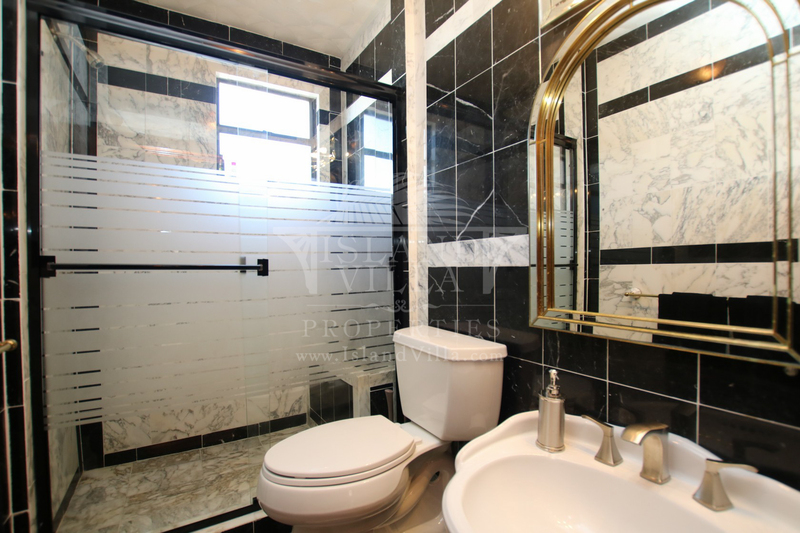 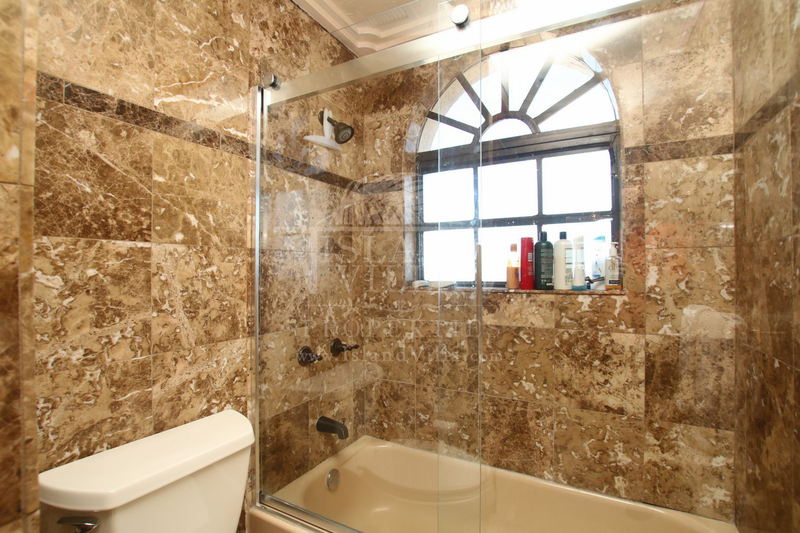 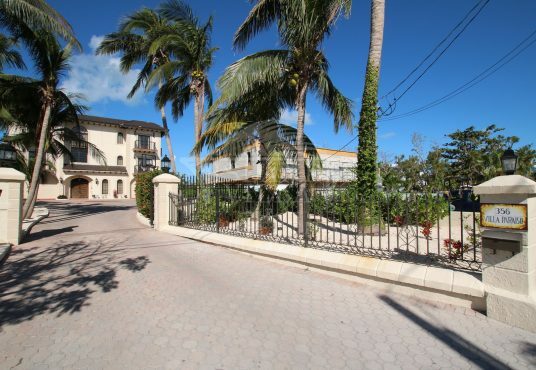 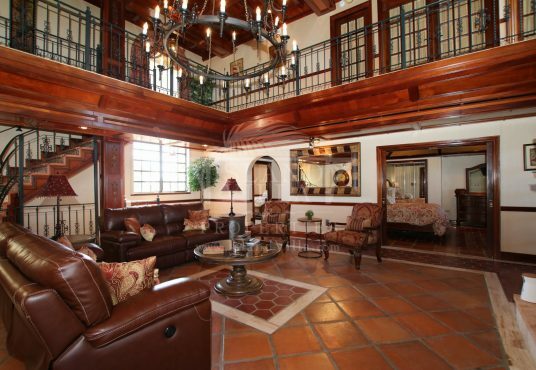 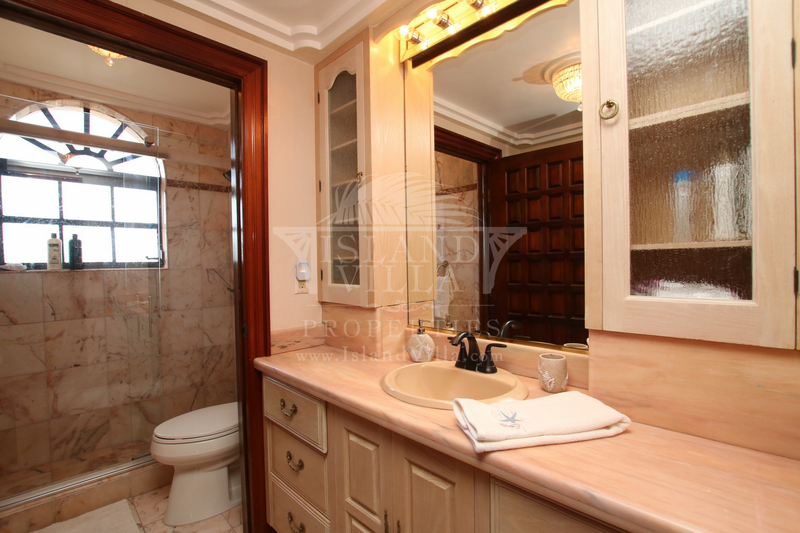 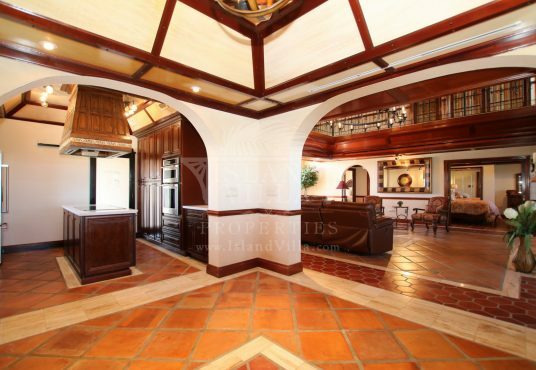 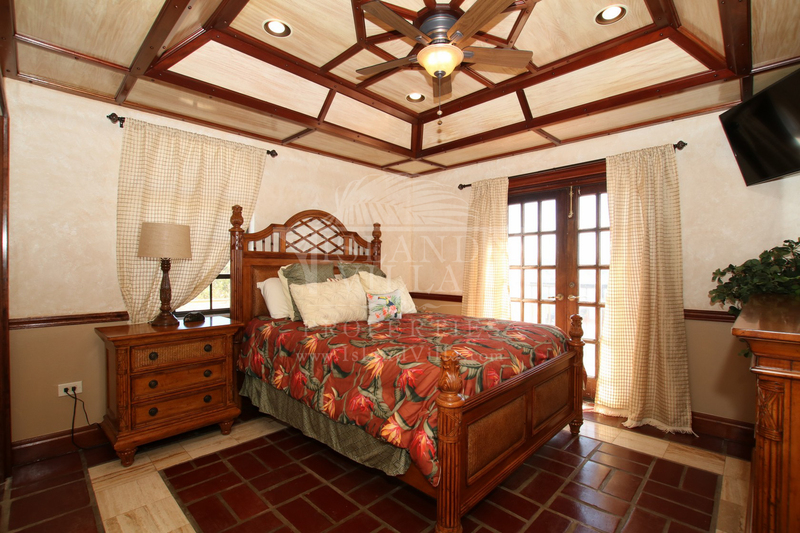 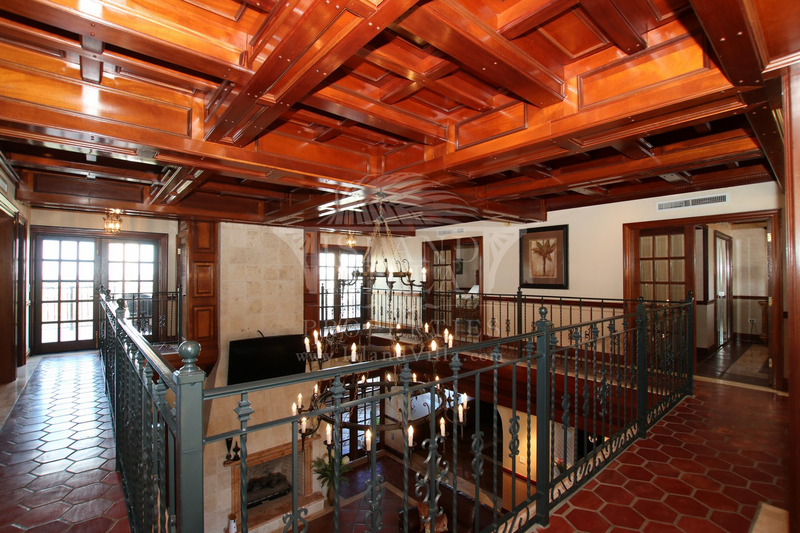 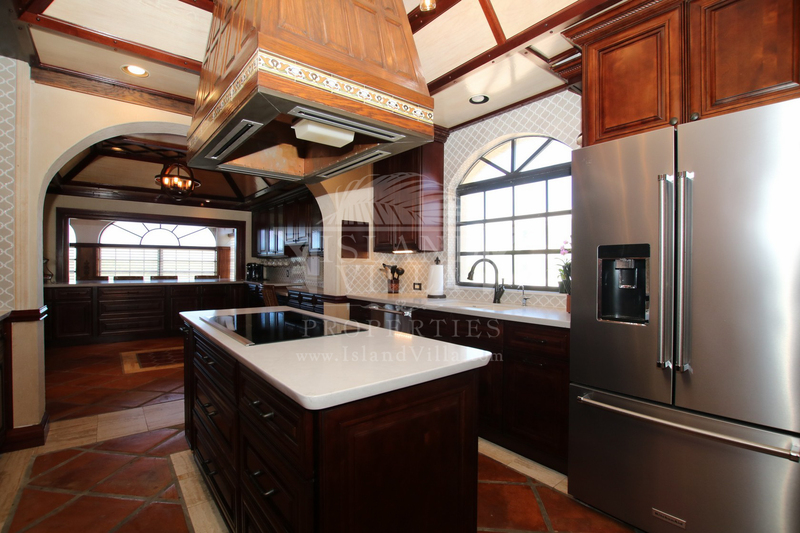 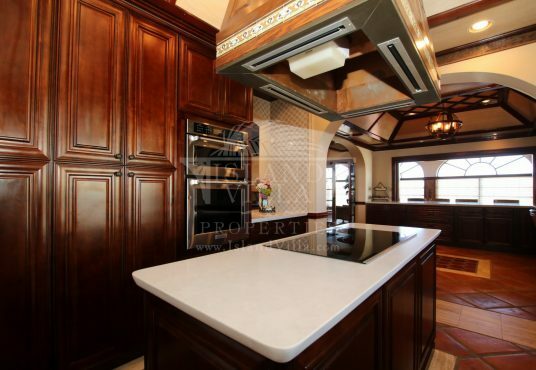 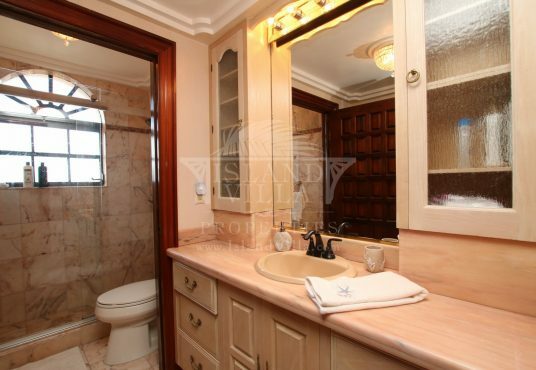 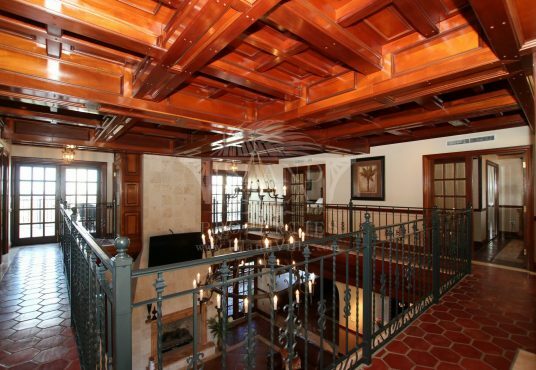 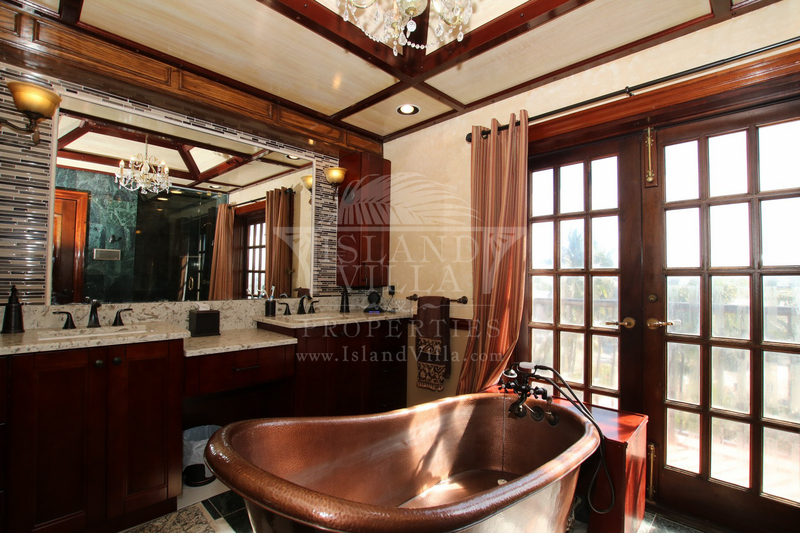 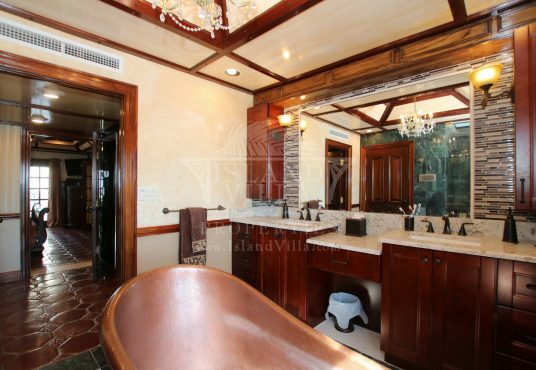 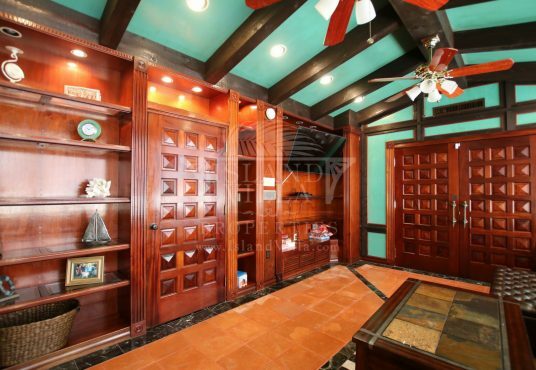 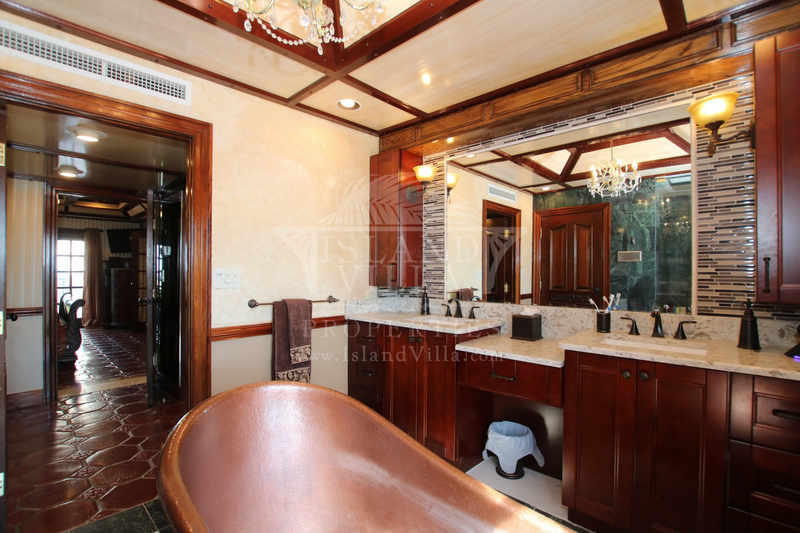 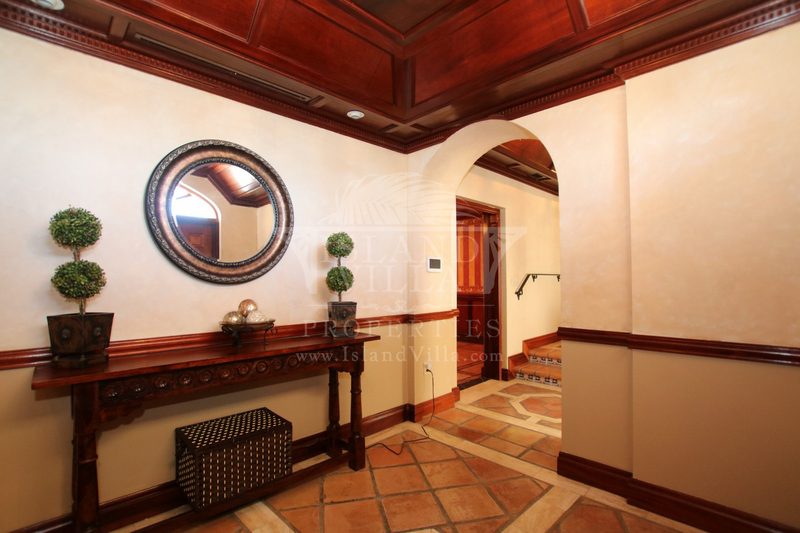 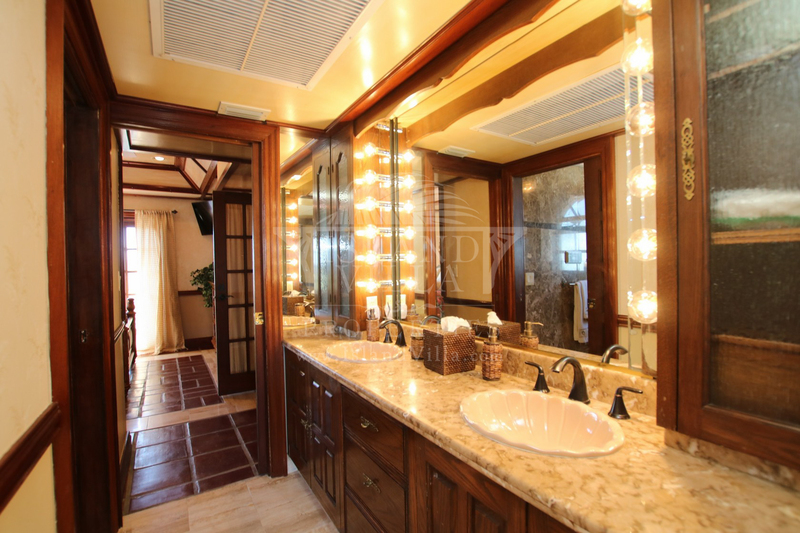 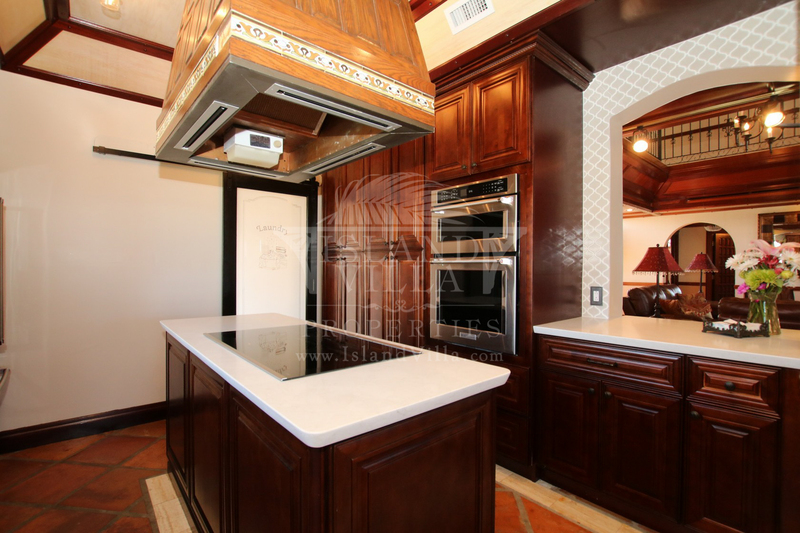 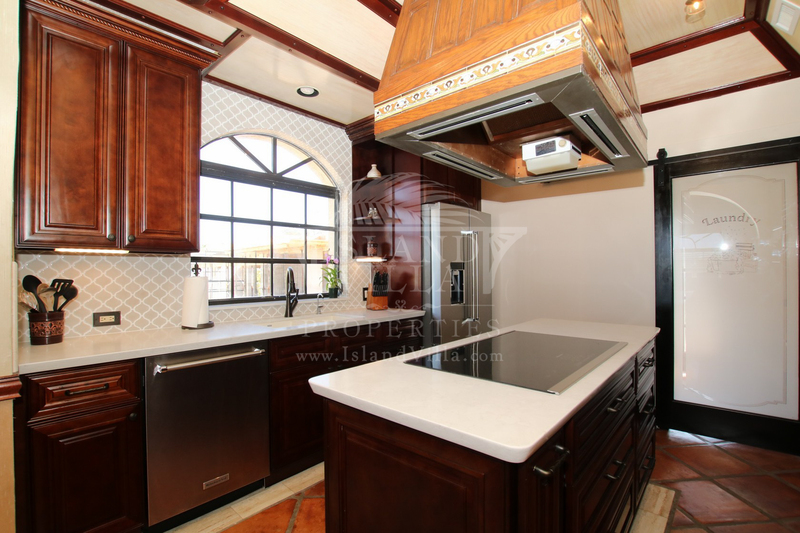 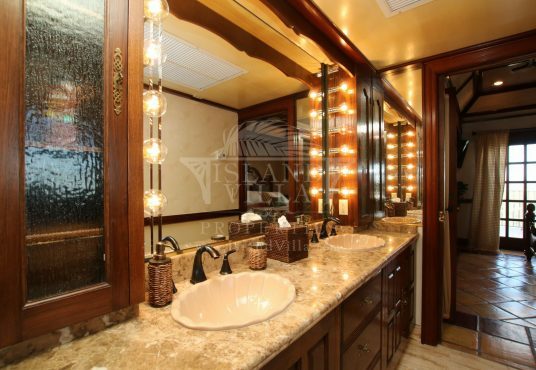 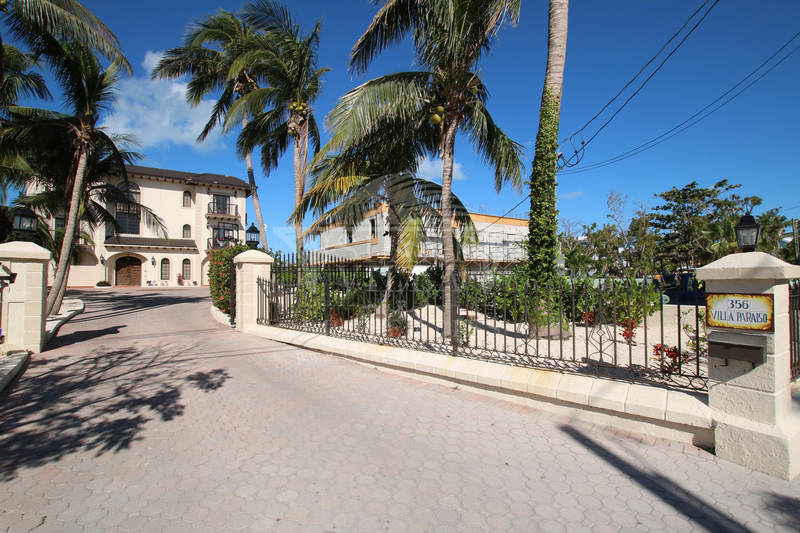 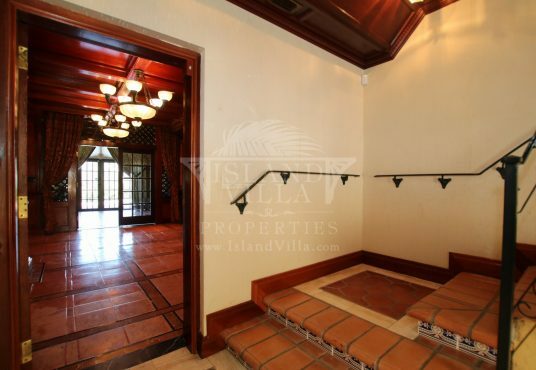 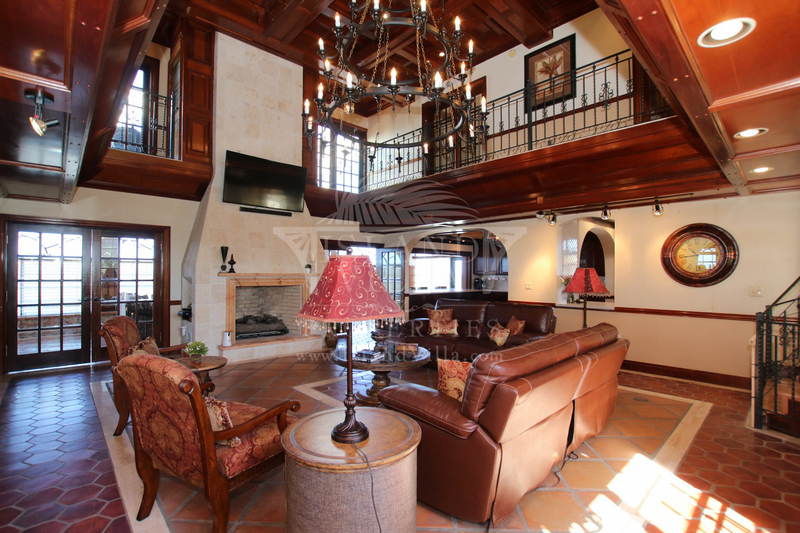 Villa Paraiso takes inspiration from Spanish Mediterranean styles, and is lavishly decorated with custom woodwork, marble bathrooms and Spanish tile. 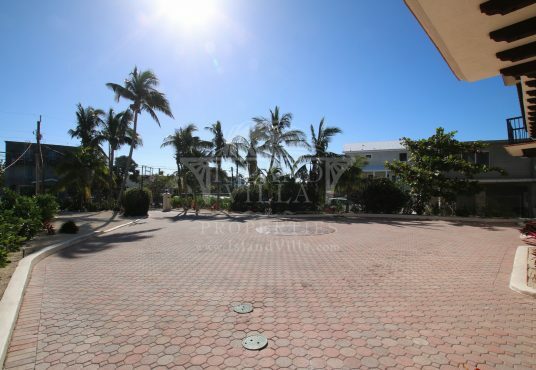 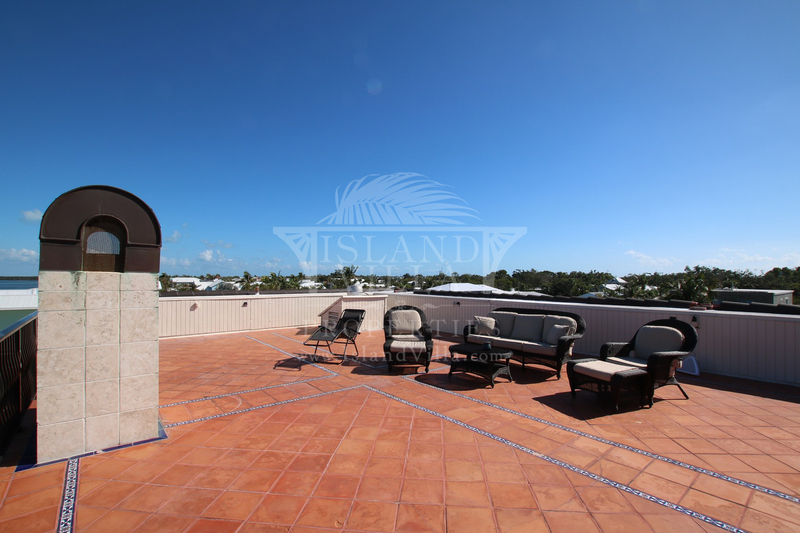 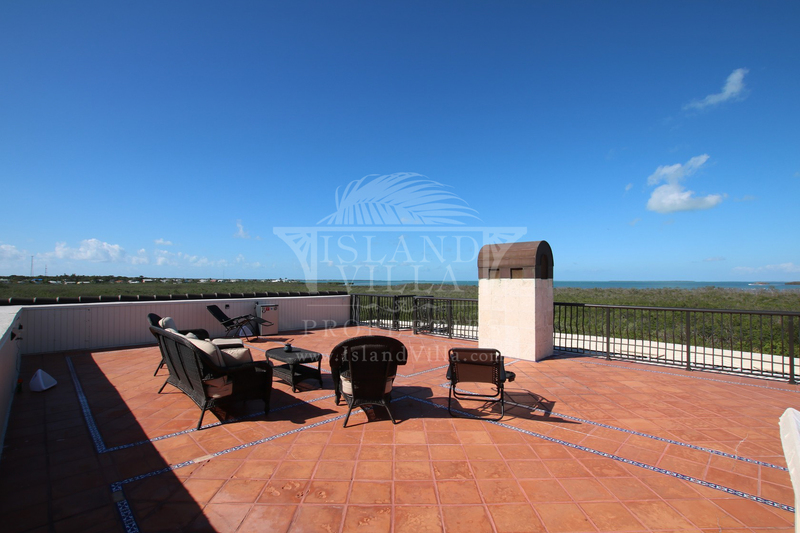 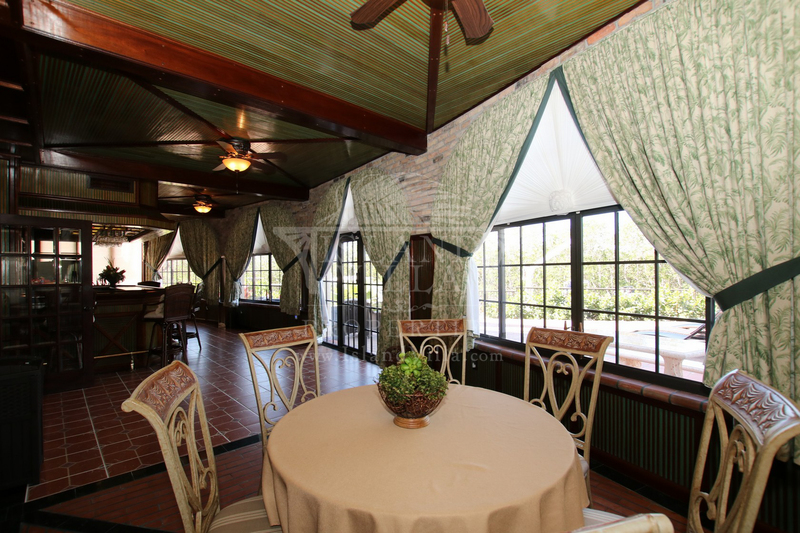 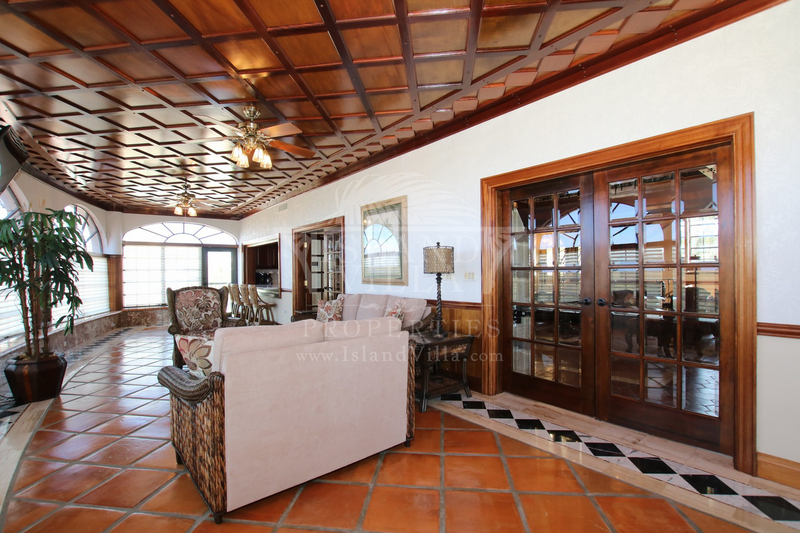 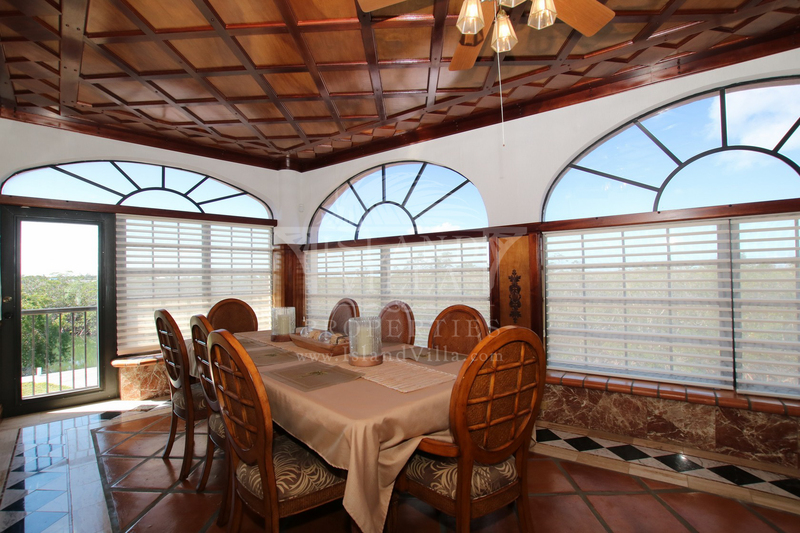 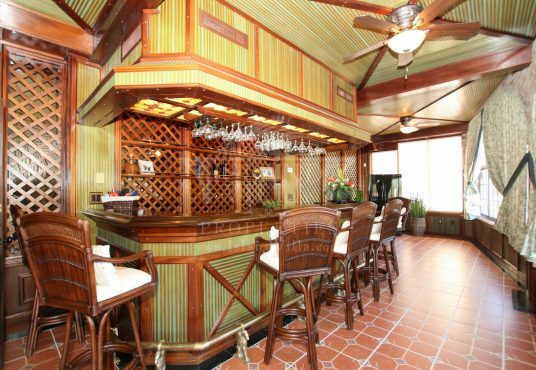 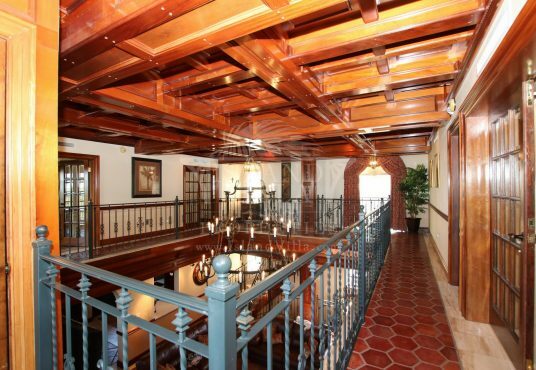 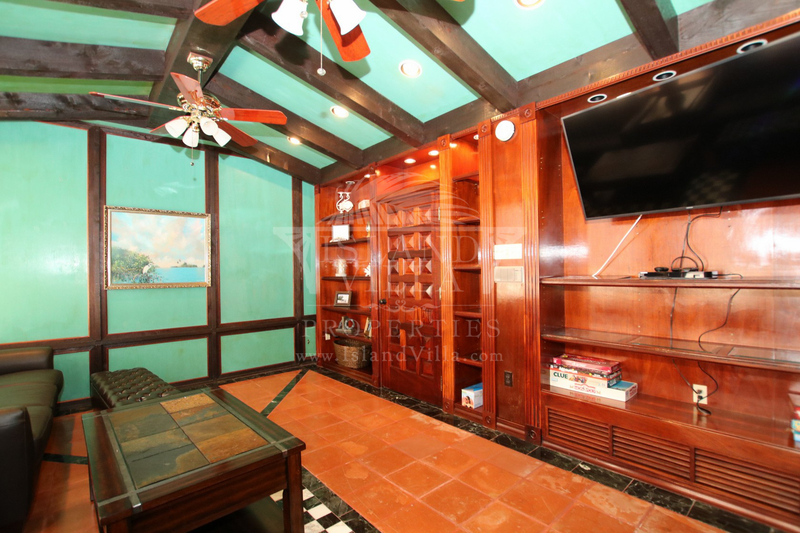 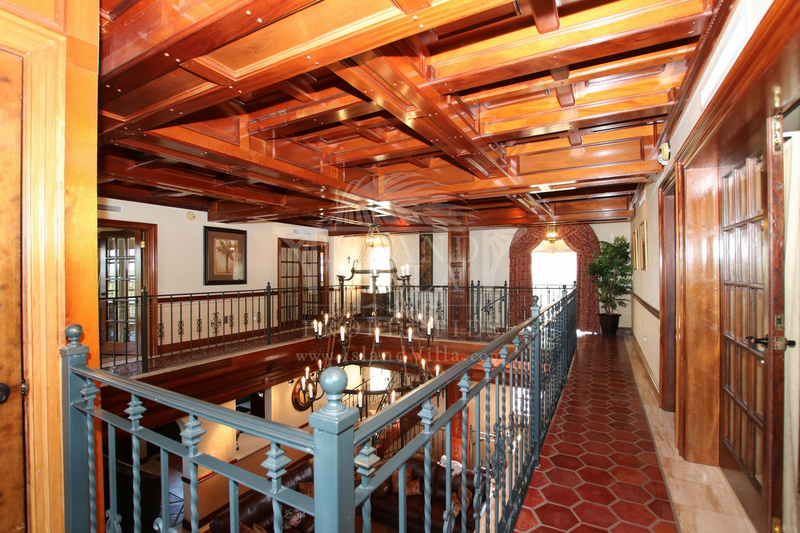 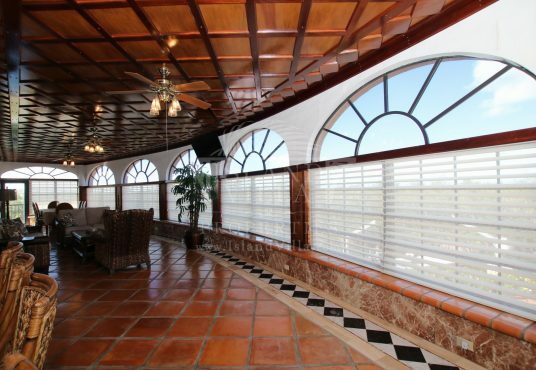 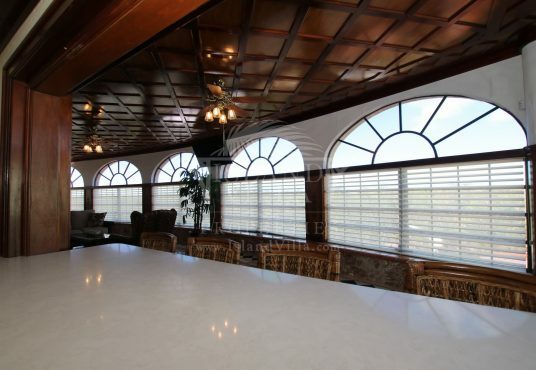 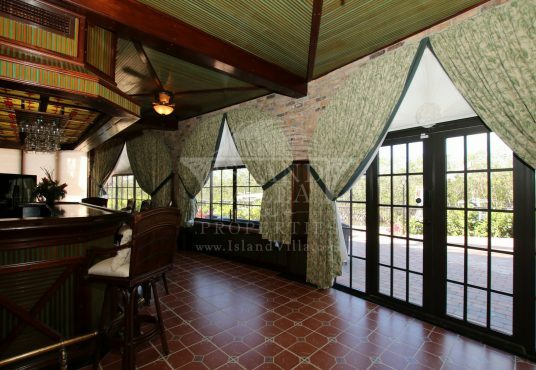 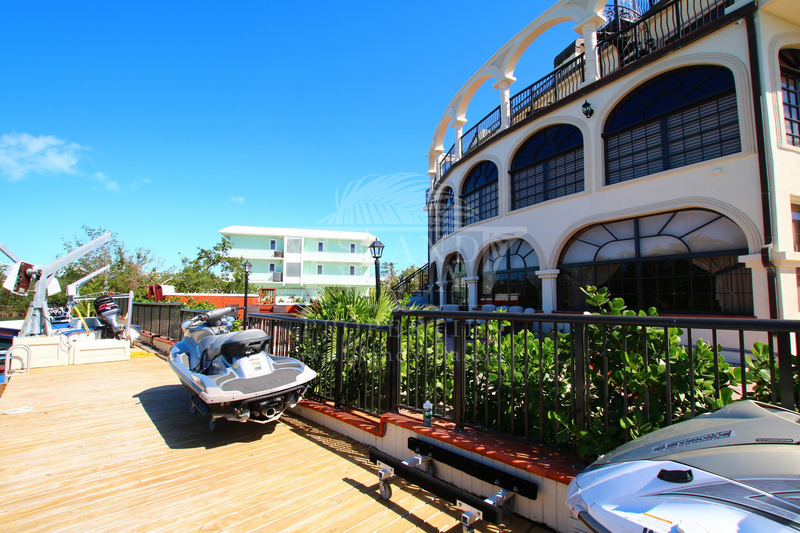 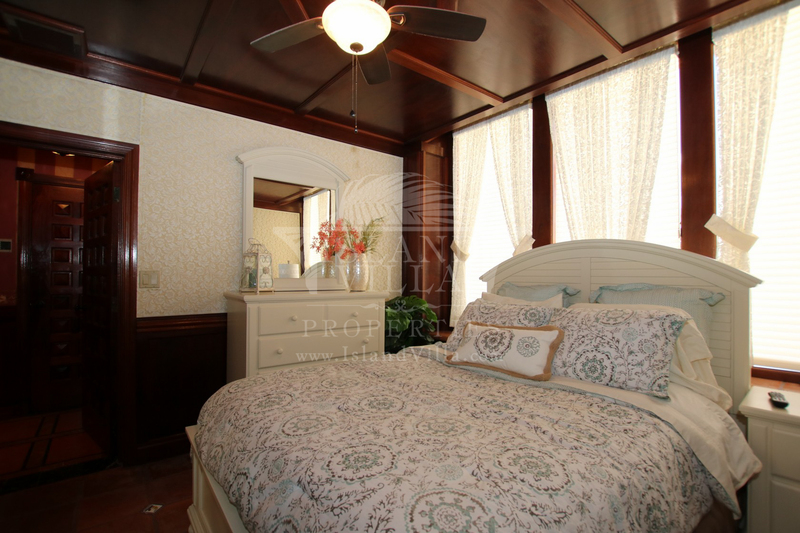 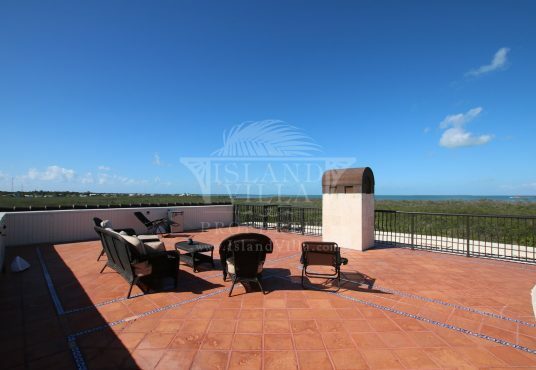 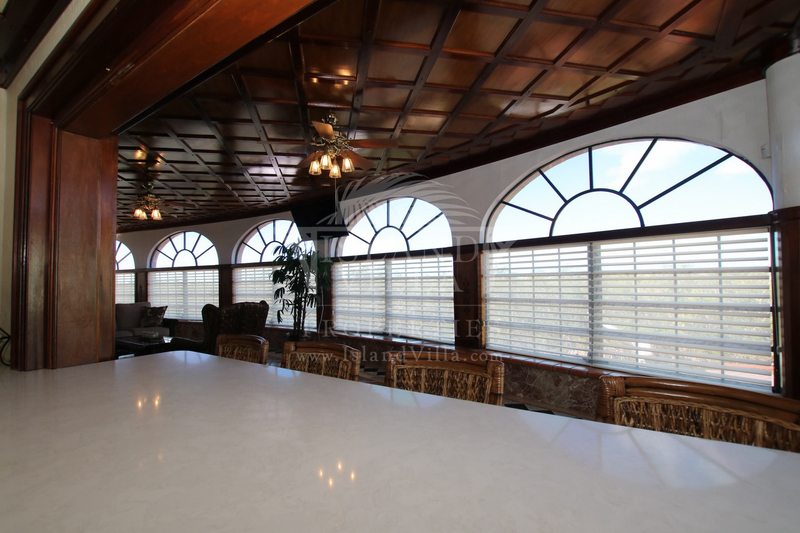 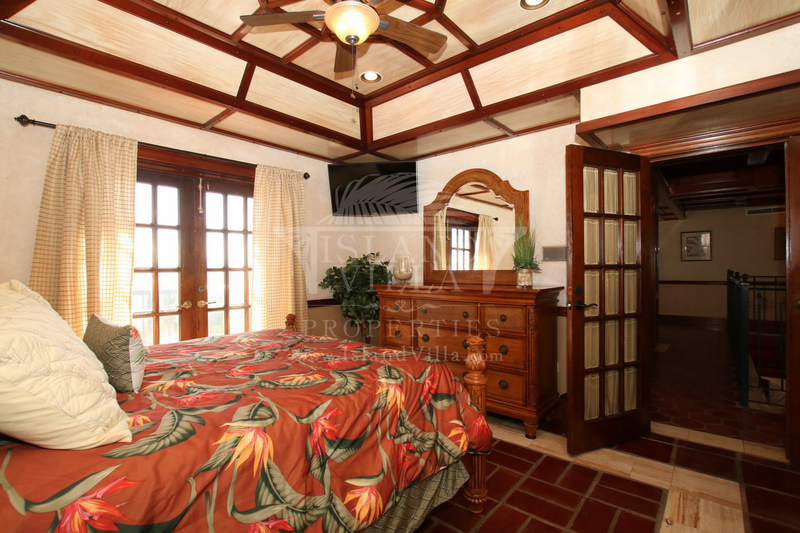 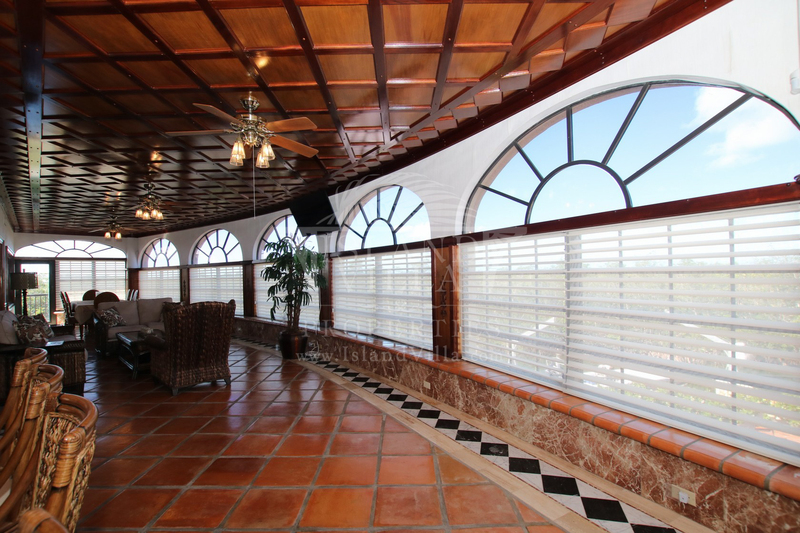 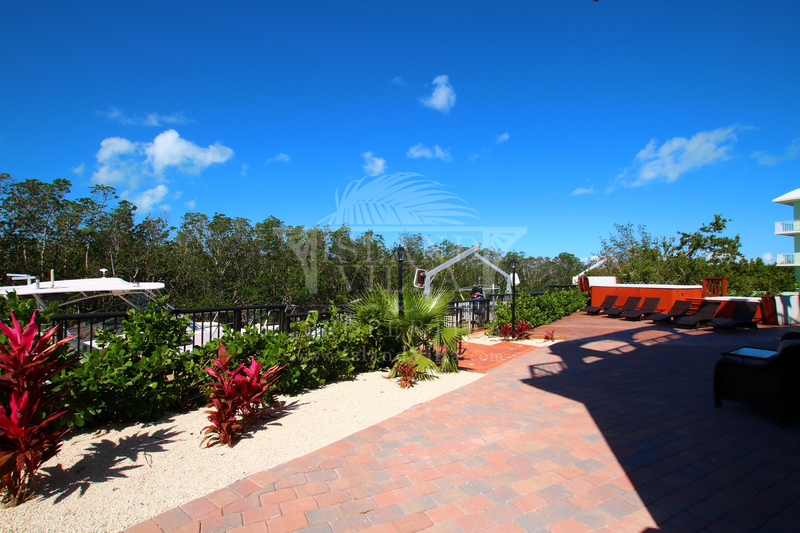 Enjoy the sunroom overlooking the water for sunsets and dolphin watching, or spend the late evenings in the media room. 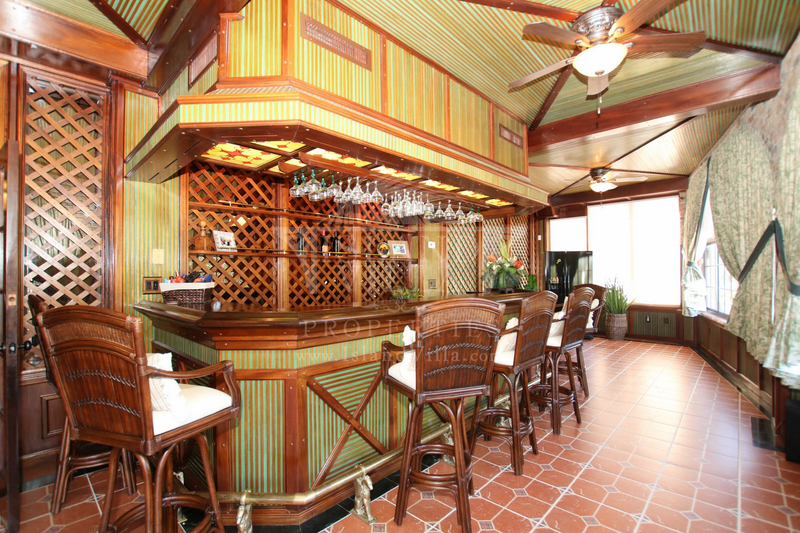 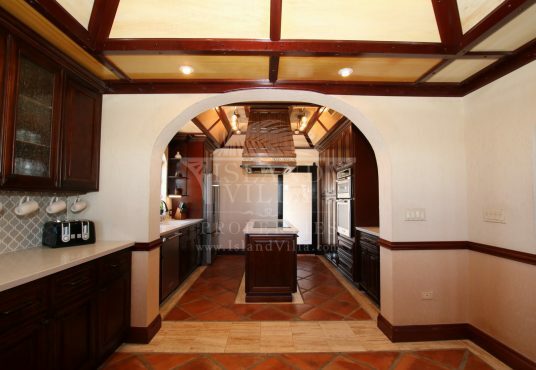 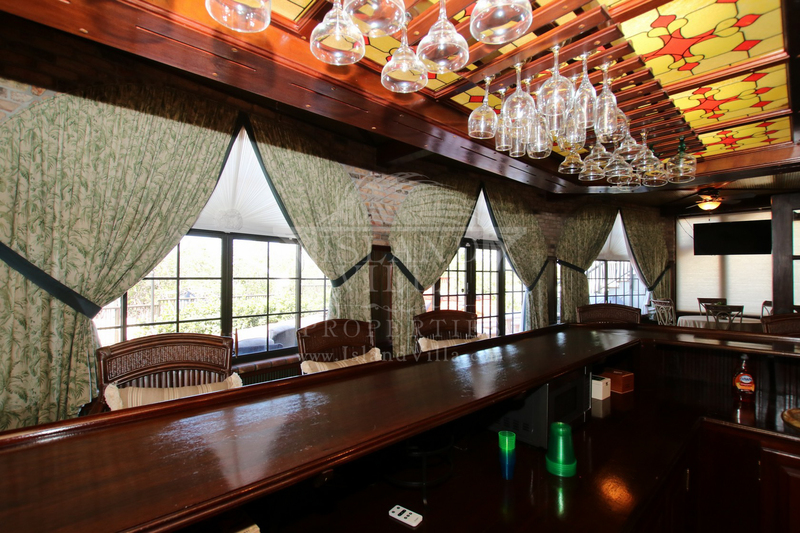 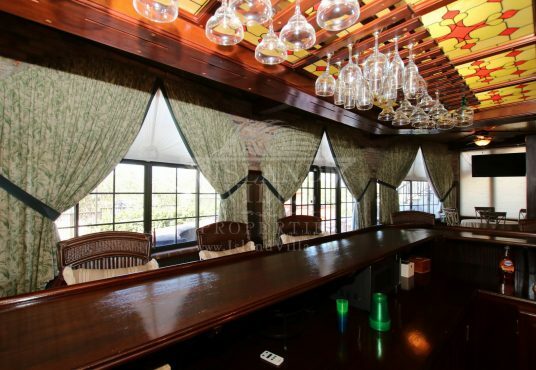 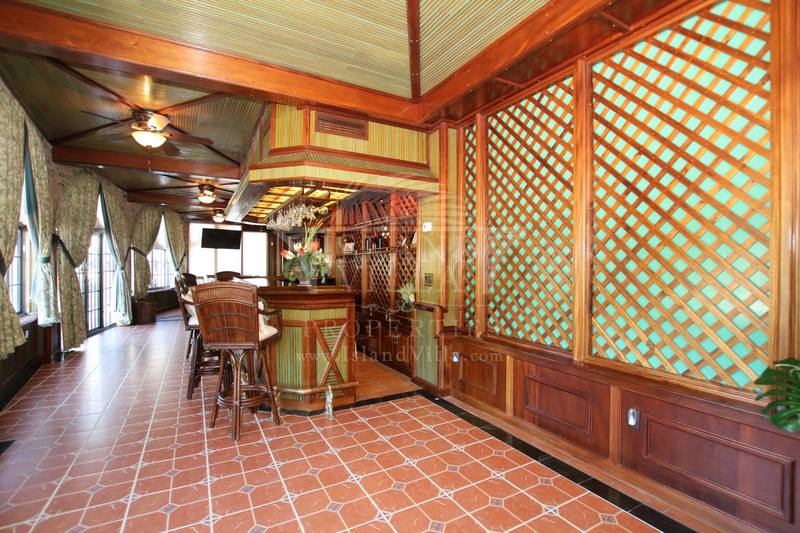 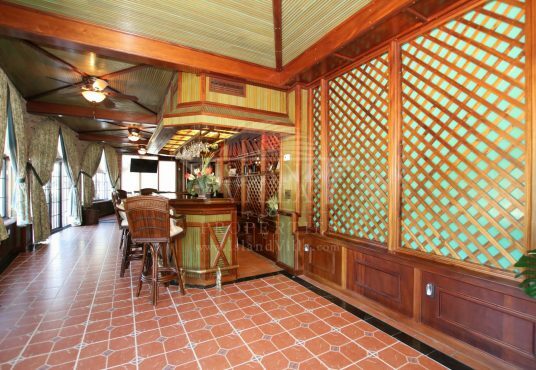 A custom built bar is great for entertaining friends and family alike. 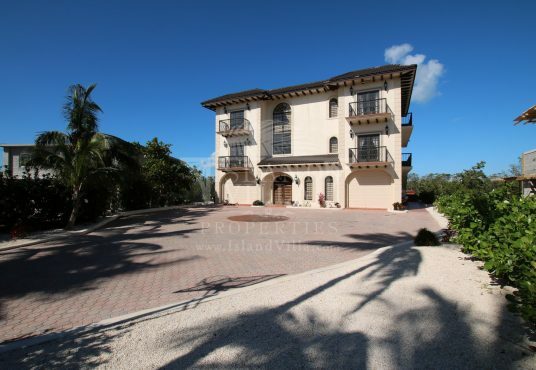 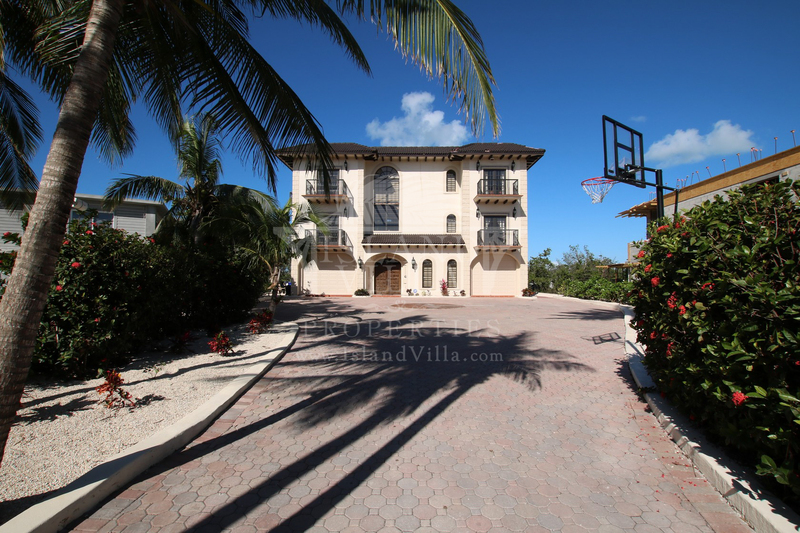 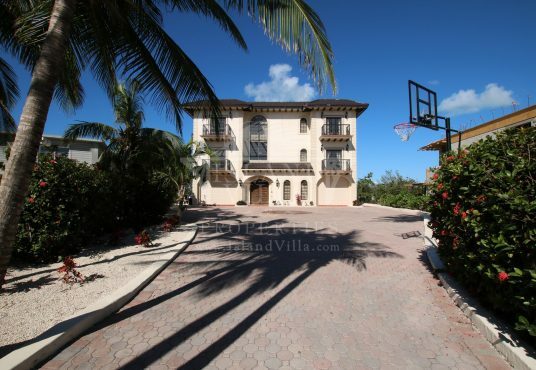 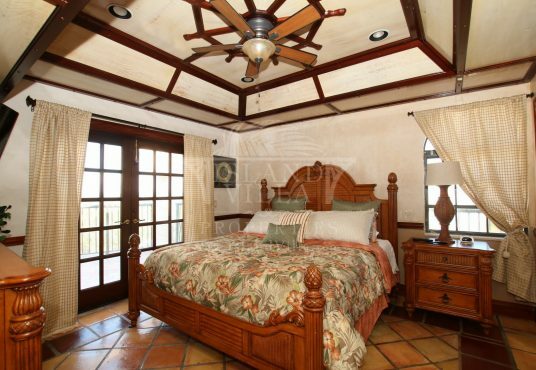 Many of the bedrooms open out through French doors to the pristine salty Florida Keys air. 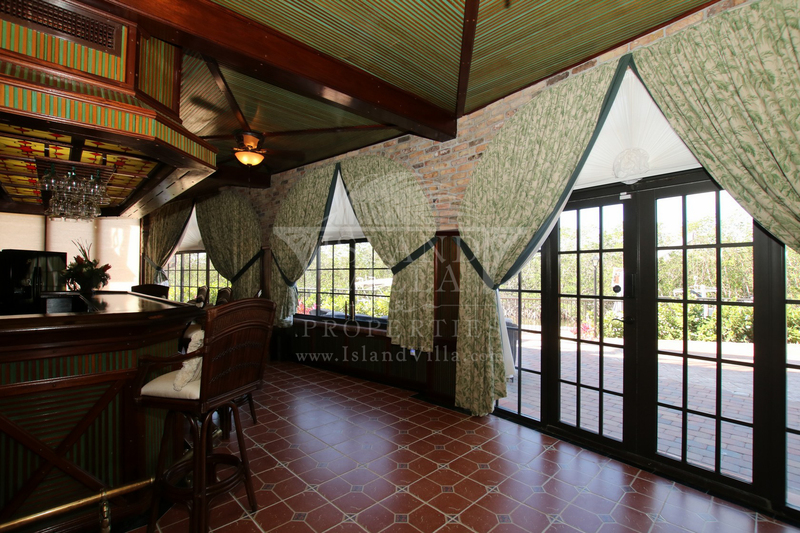 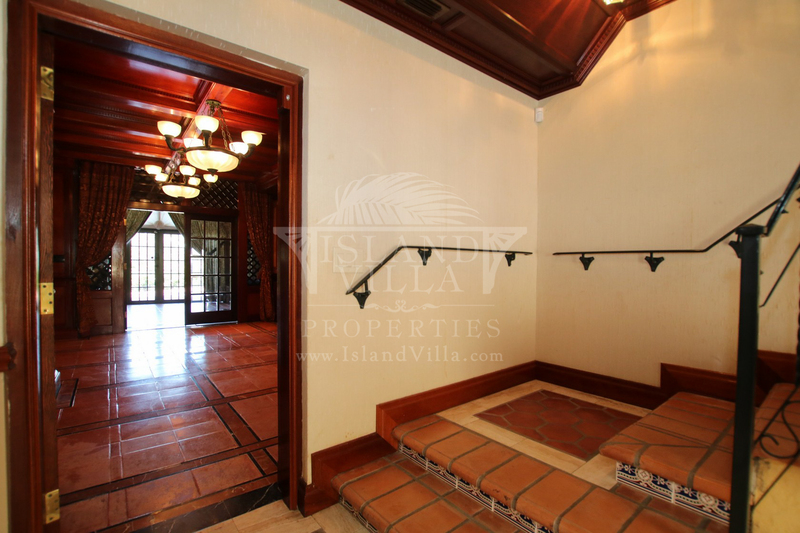 Climb the stairs to the third story veranda to catch the bay breeze or continue to the widows watch on the roof for views of the islands. 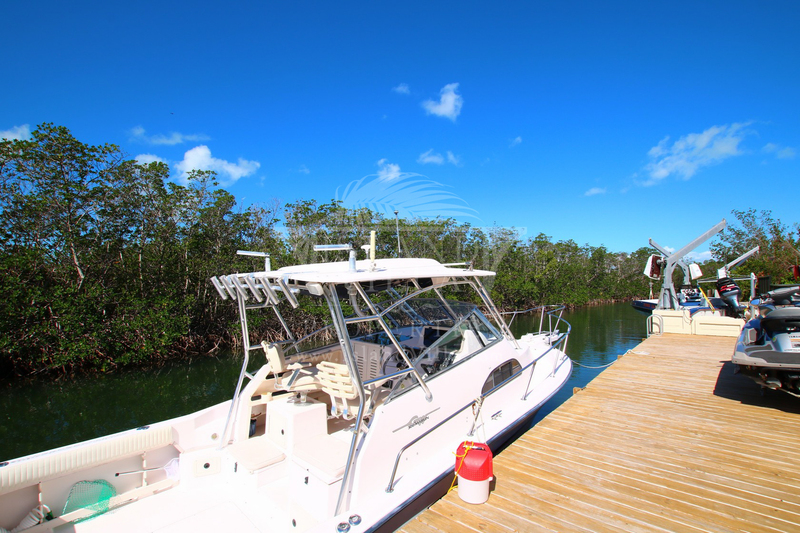 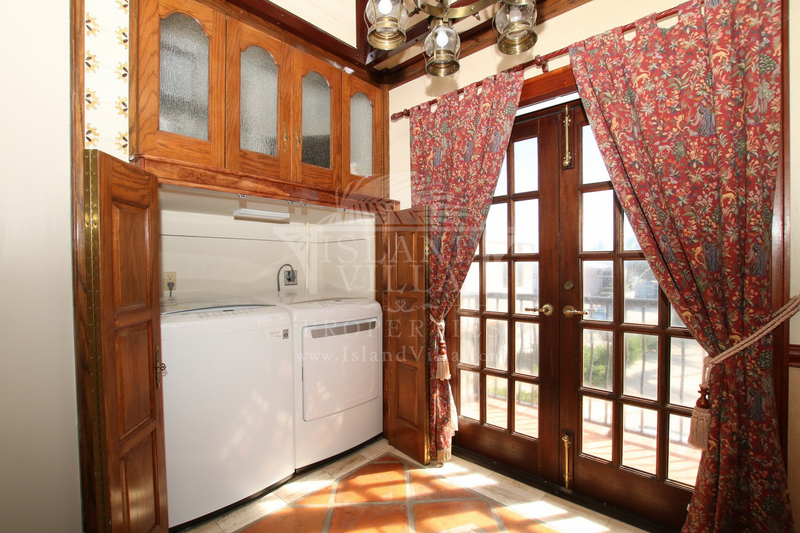 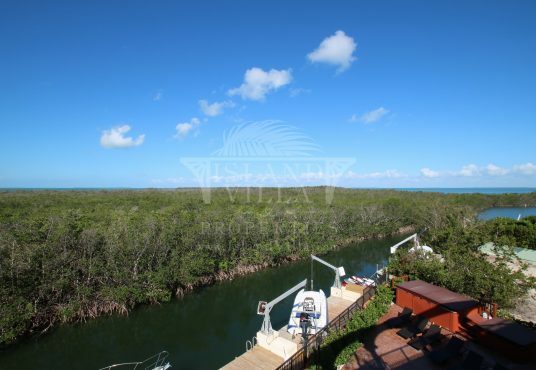 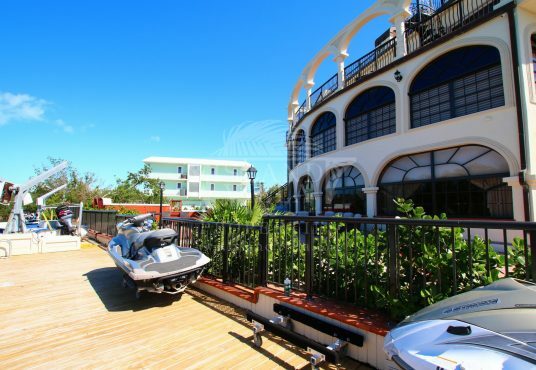 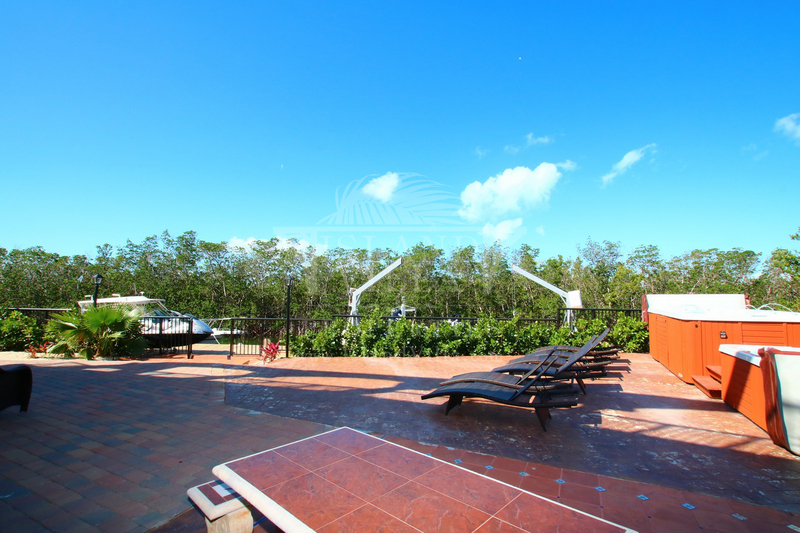 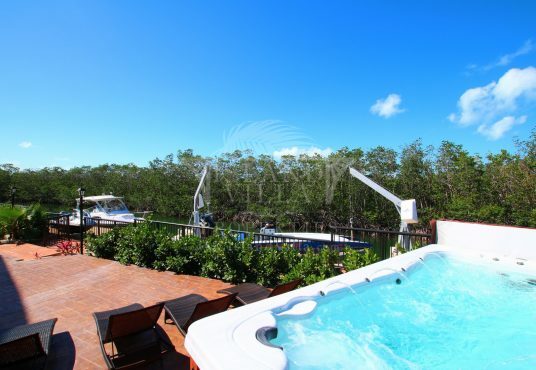 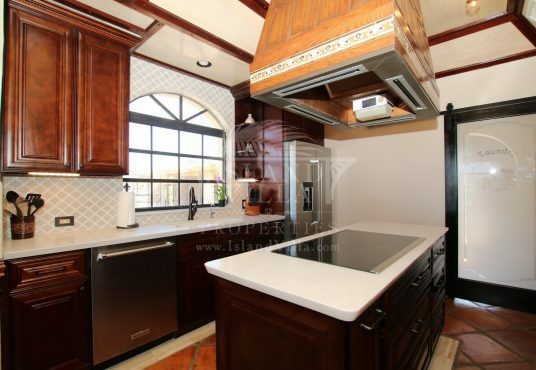 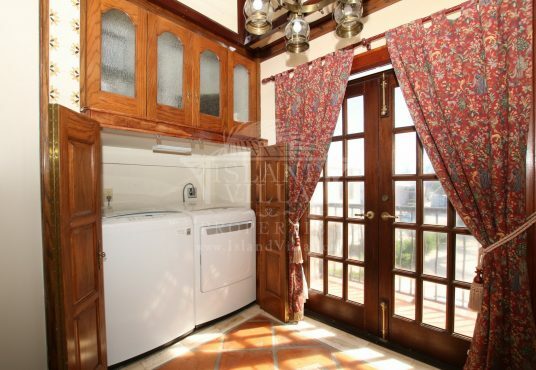 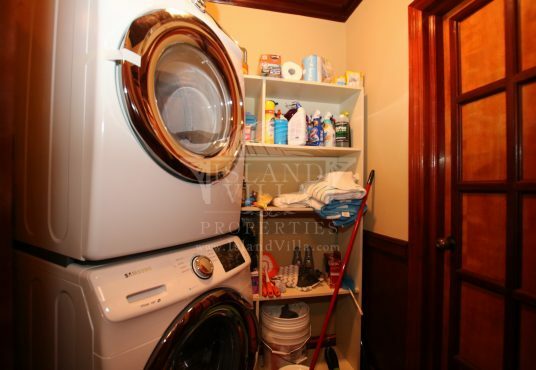 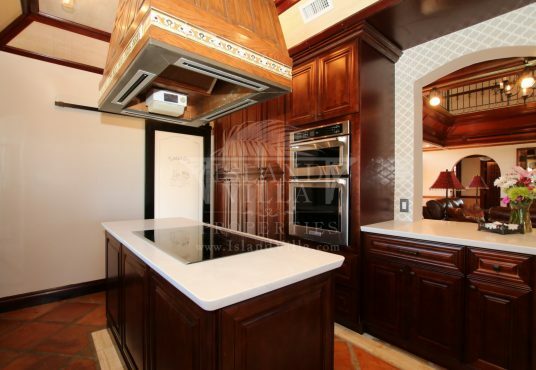 88 feet of dockage with a fish cleaning station make this villa great for Anglers. 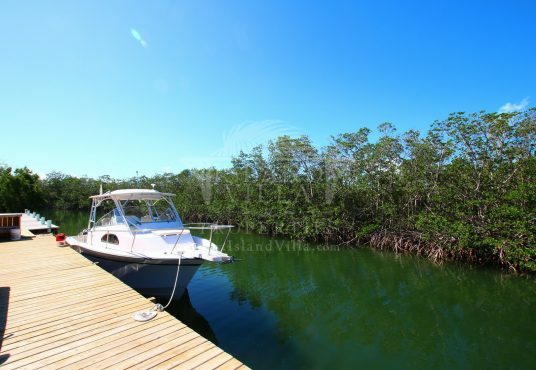 Kayaks are also offered free of charge, after signing a liability agreement. 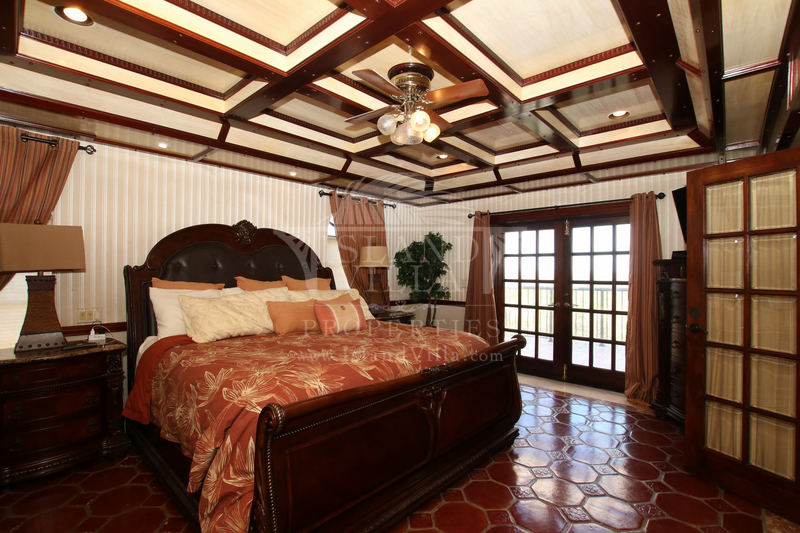 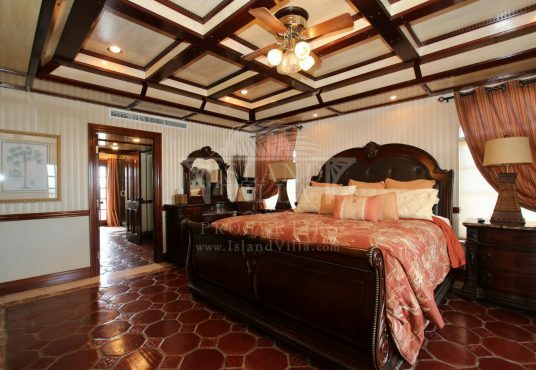 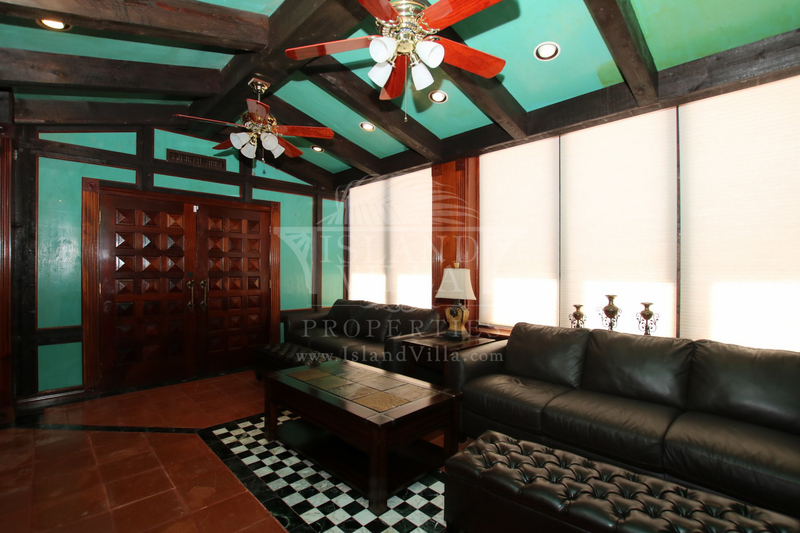 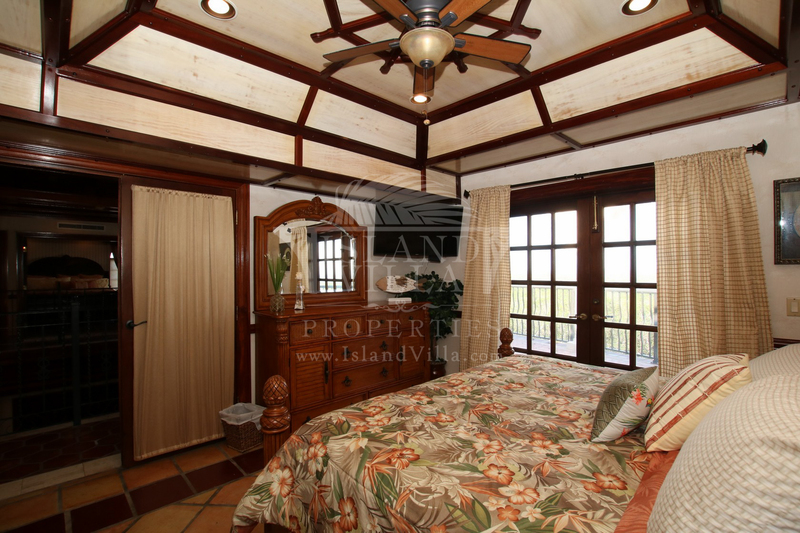 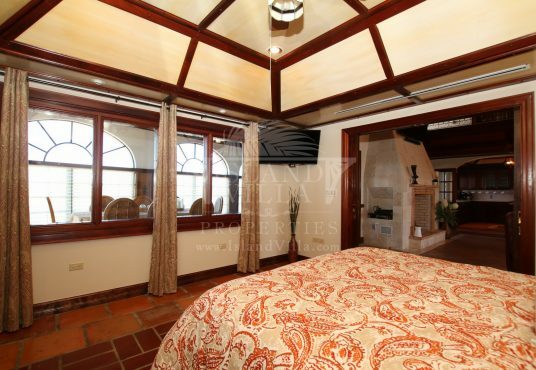 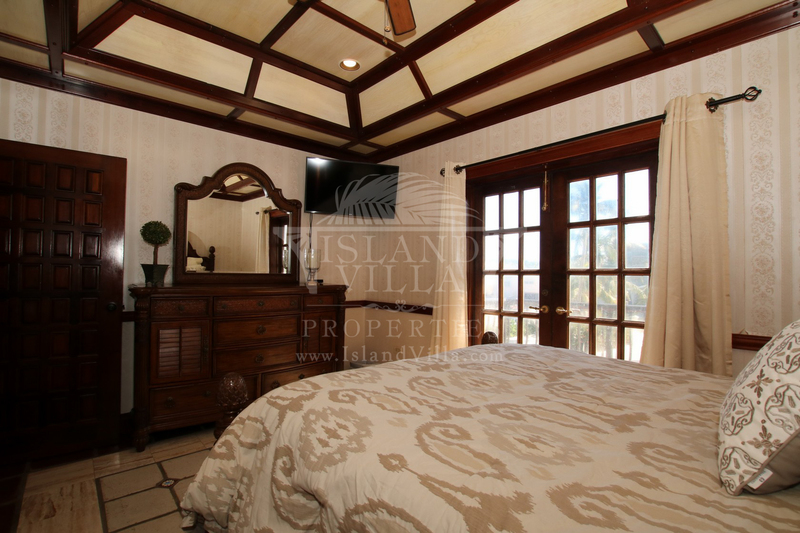 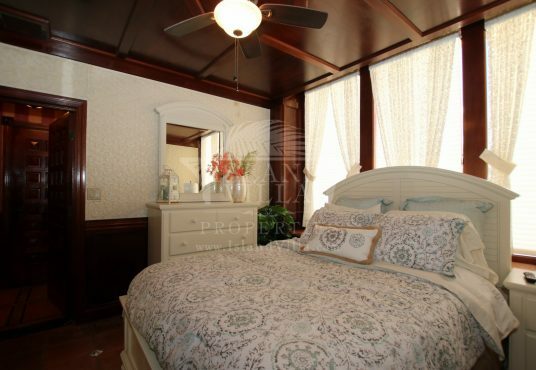 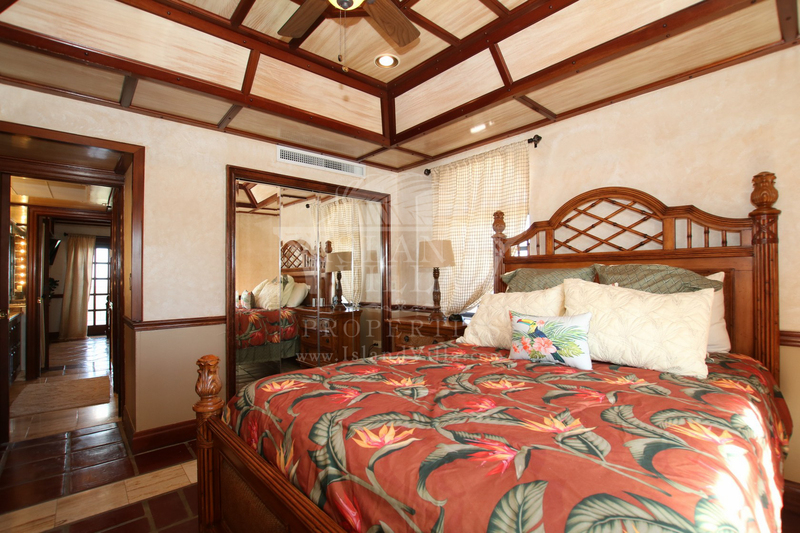 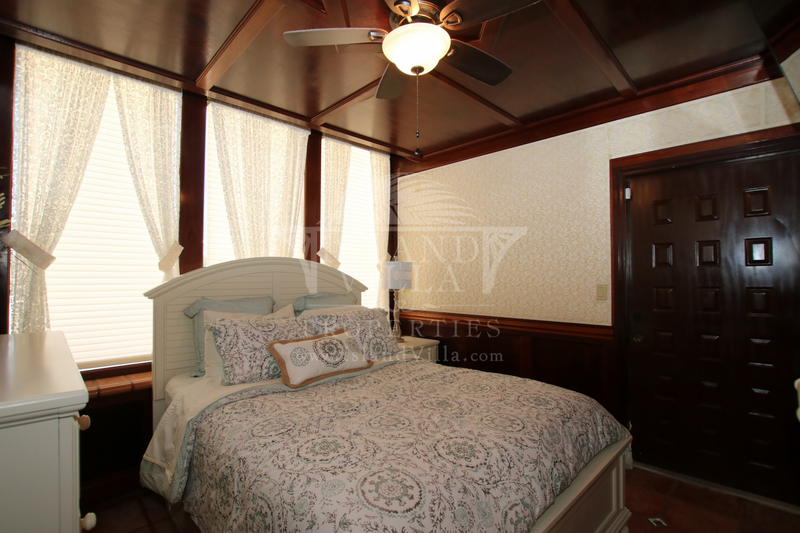 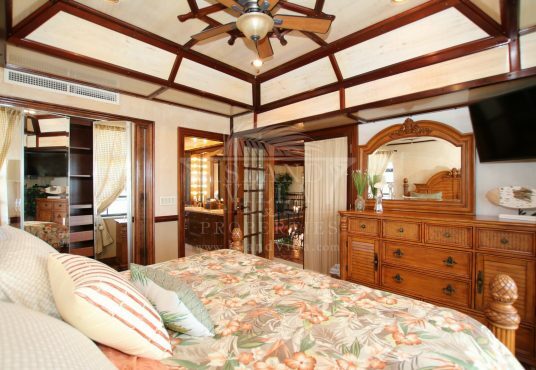 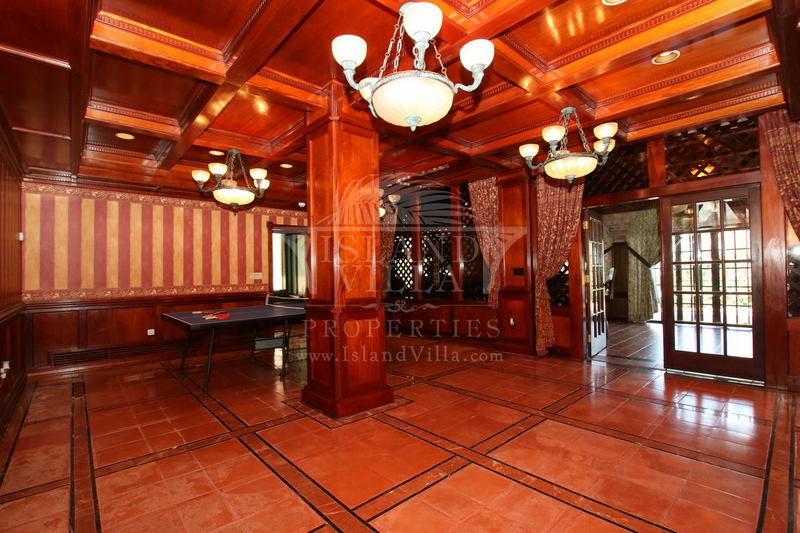 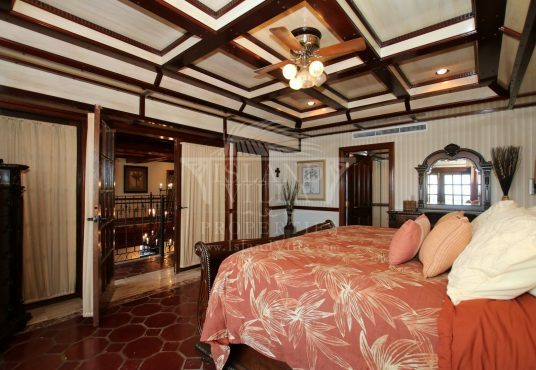 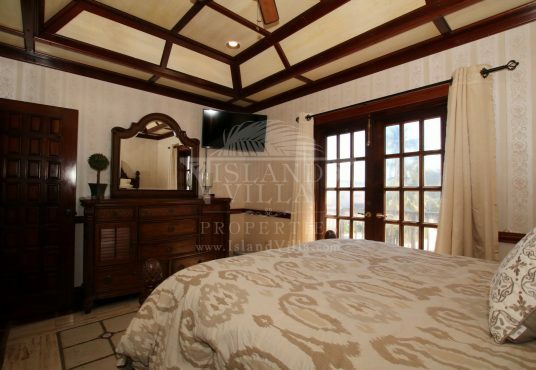 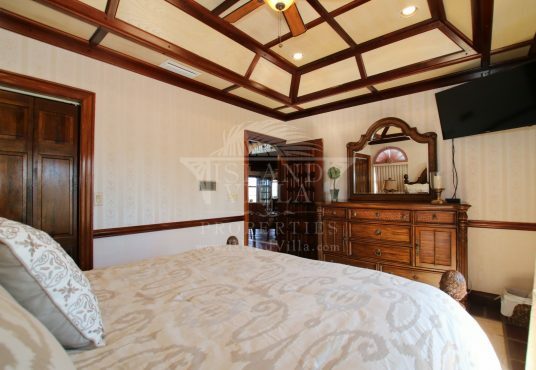 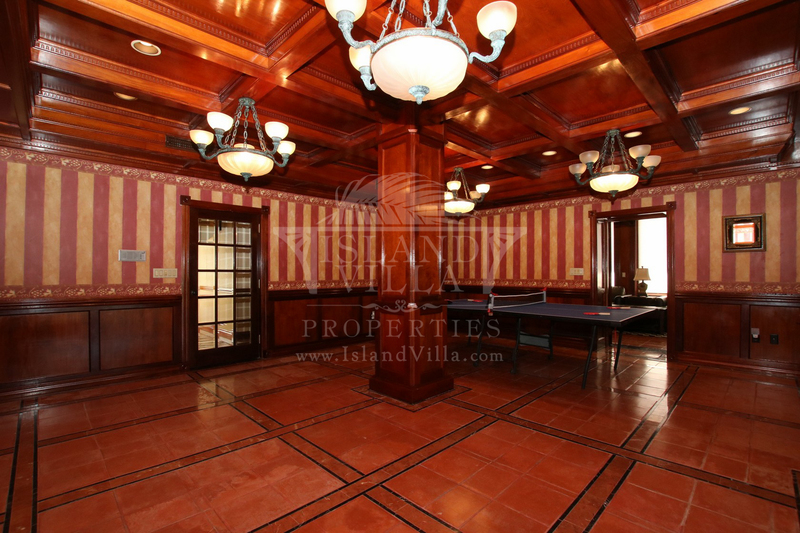 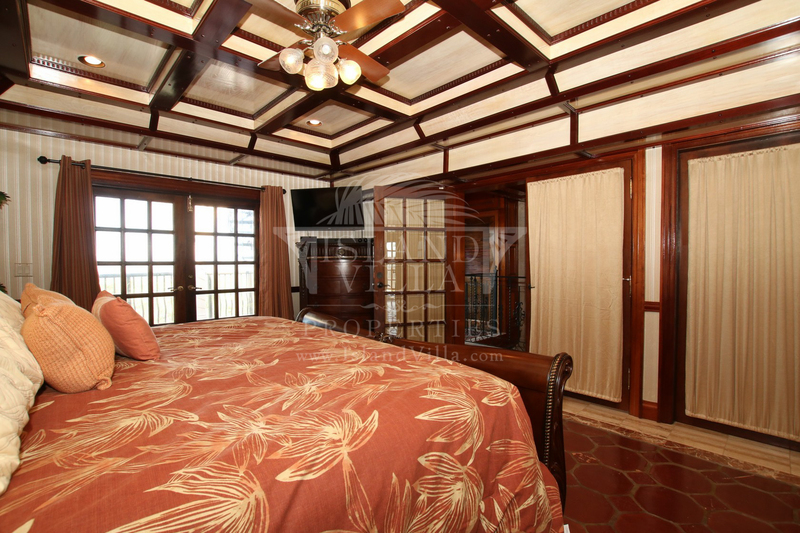 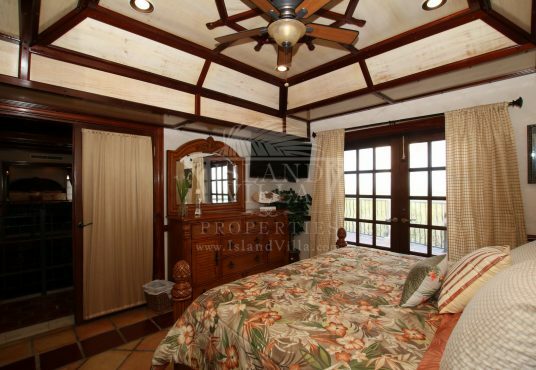 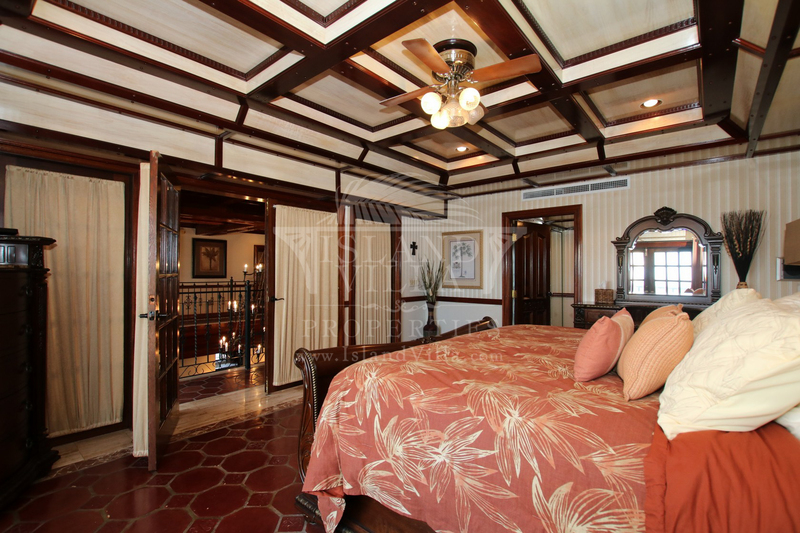 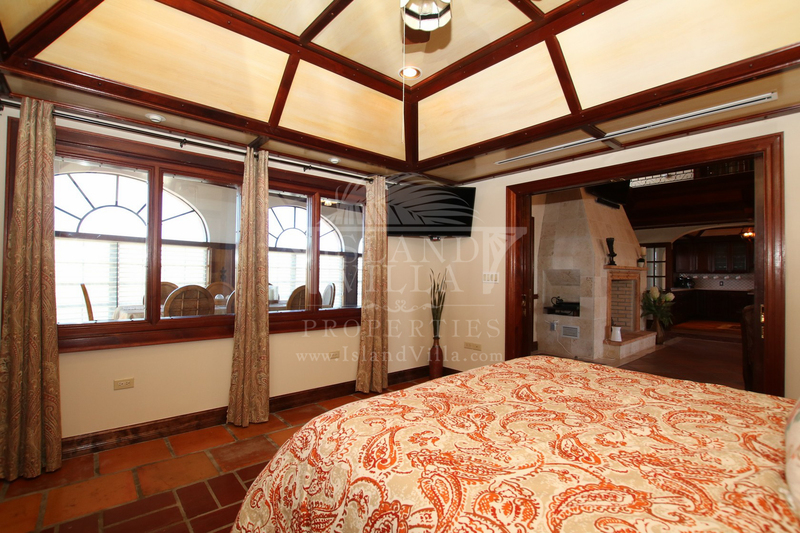 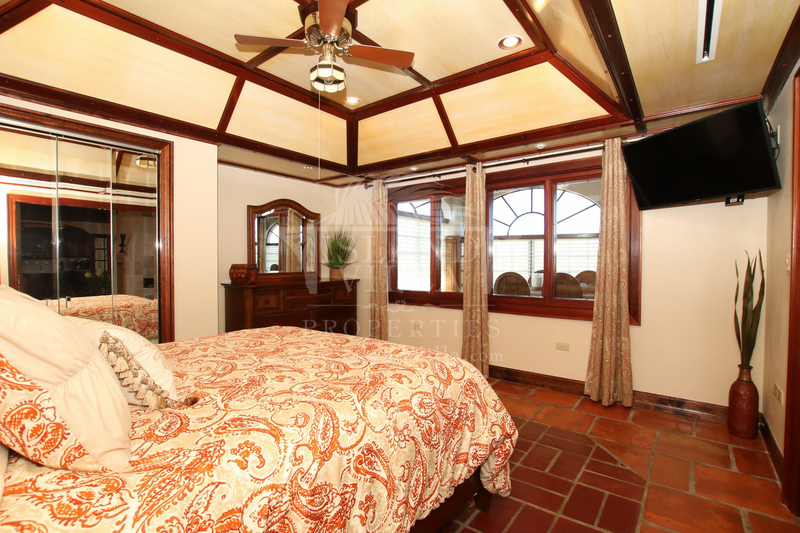 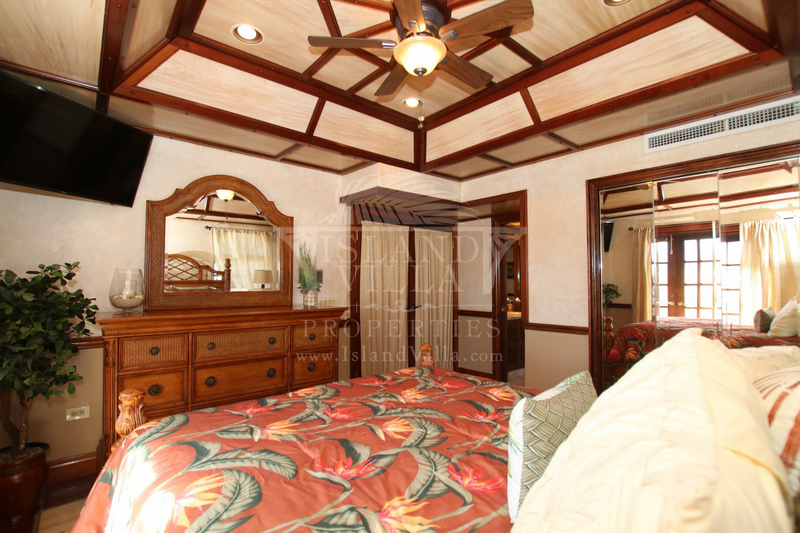 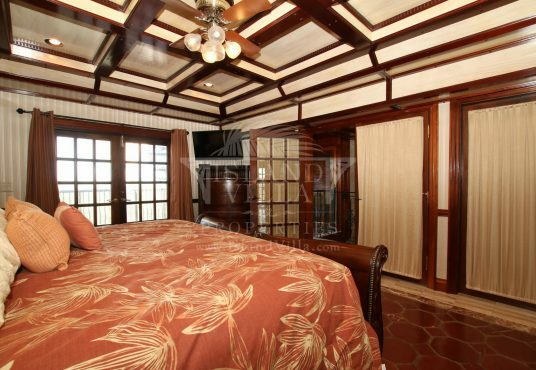 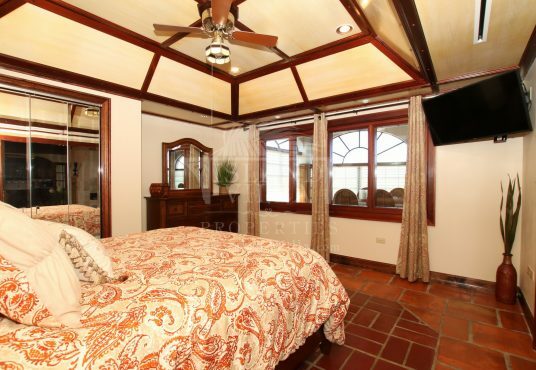 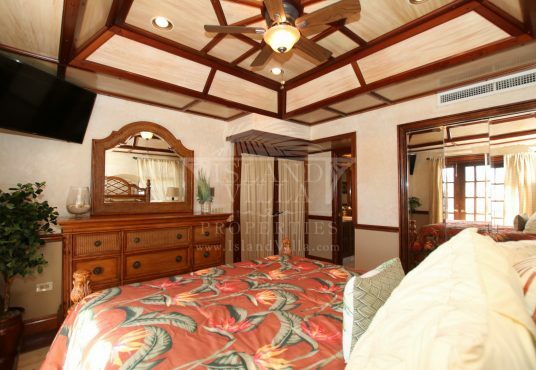 The media room hosts 2 queen sofa fold out beds, to give this villa a total of ~7 bedrooms.